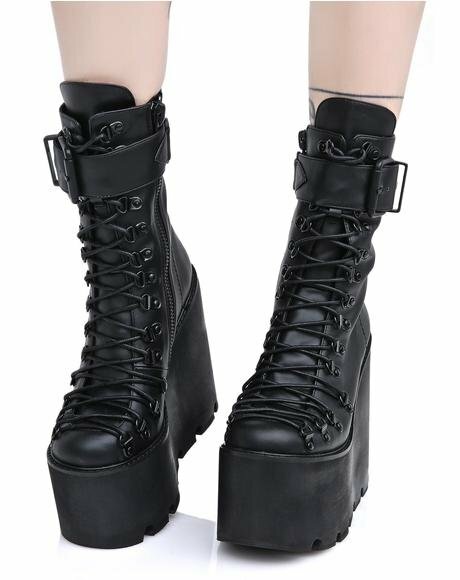 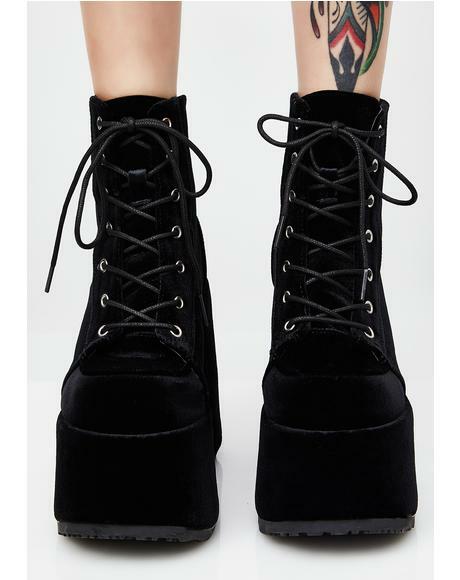 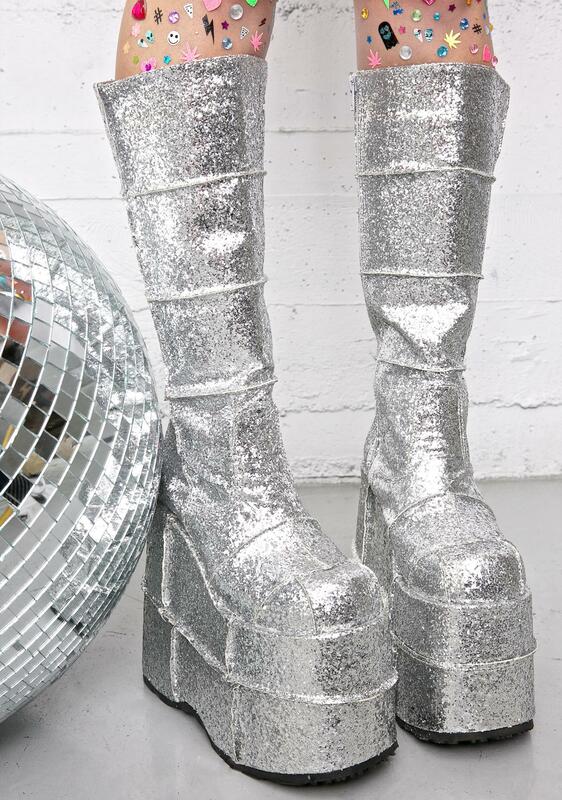 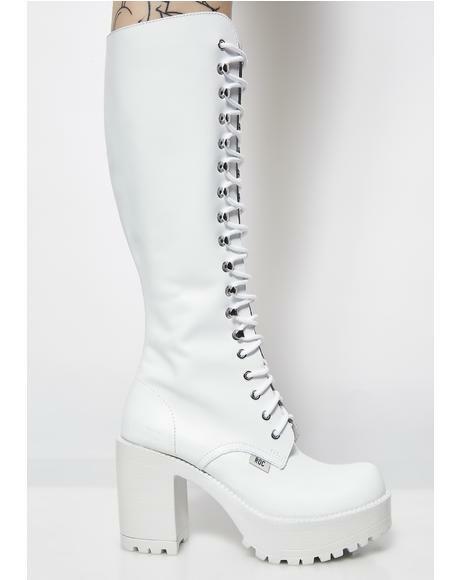 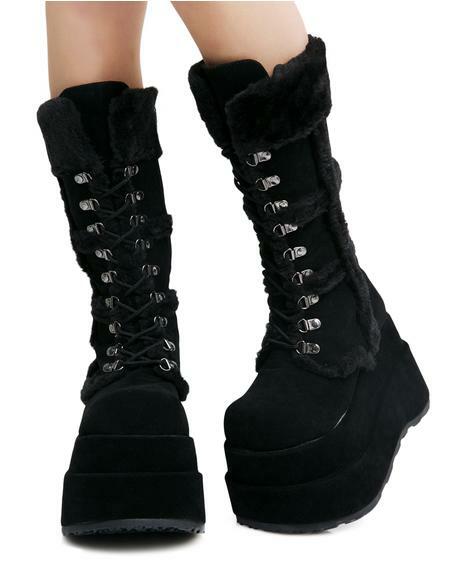 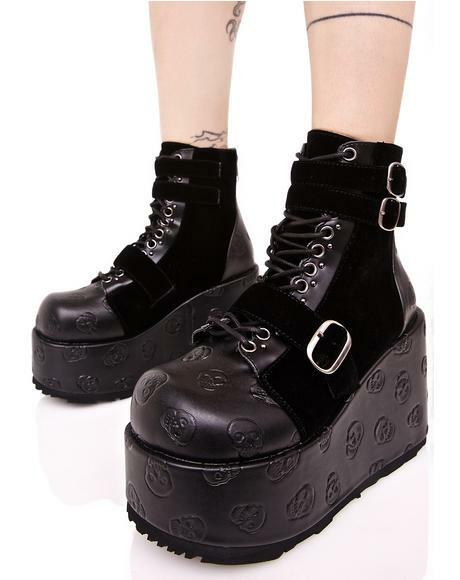 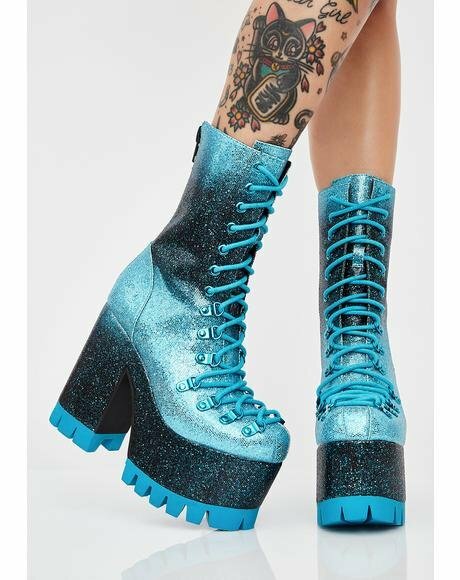 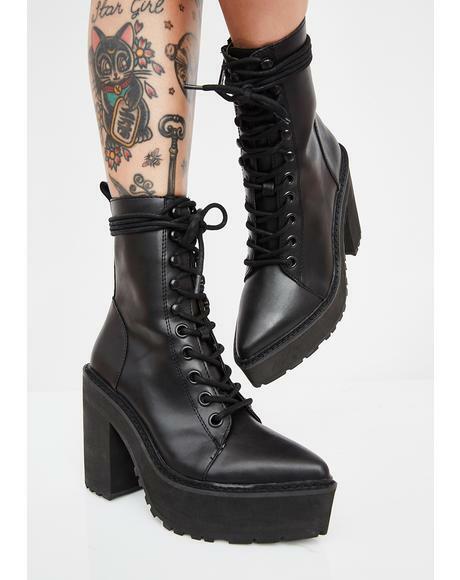 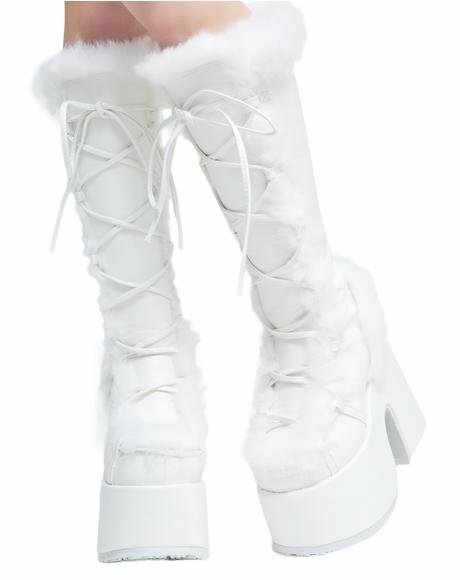 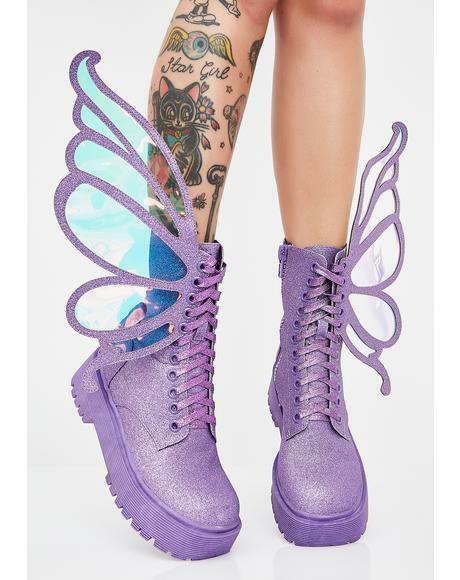 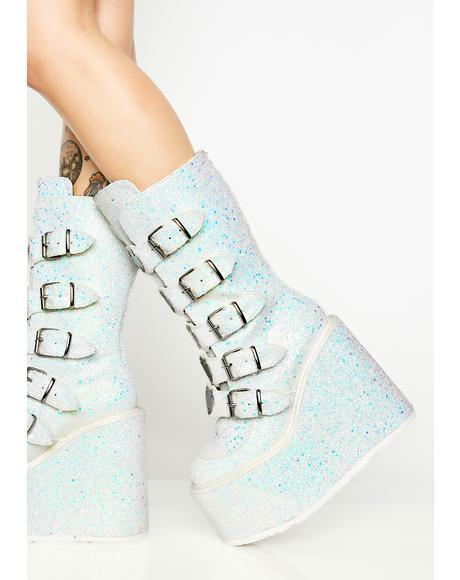 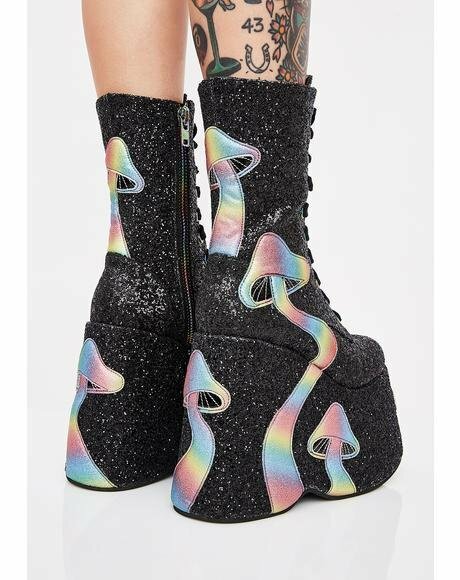 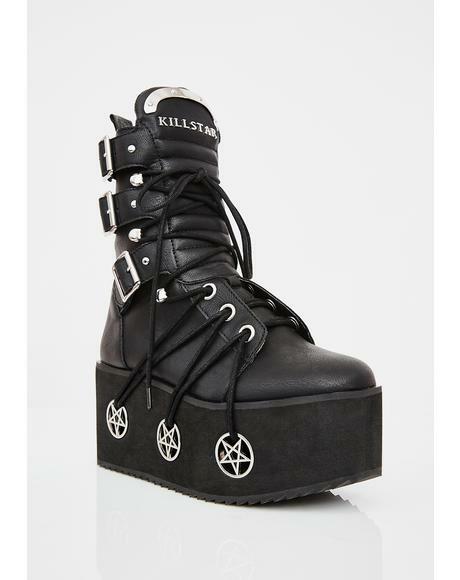 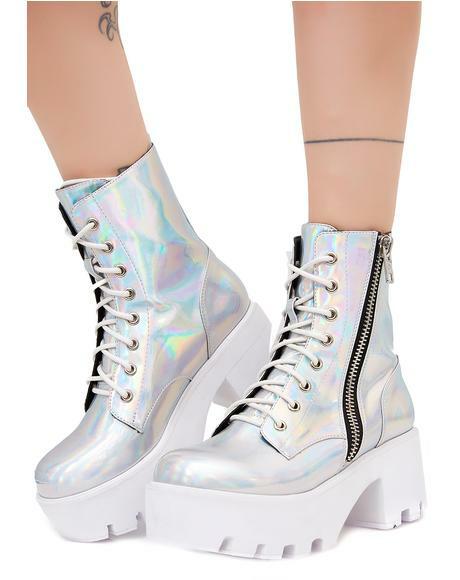 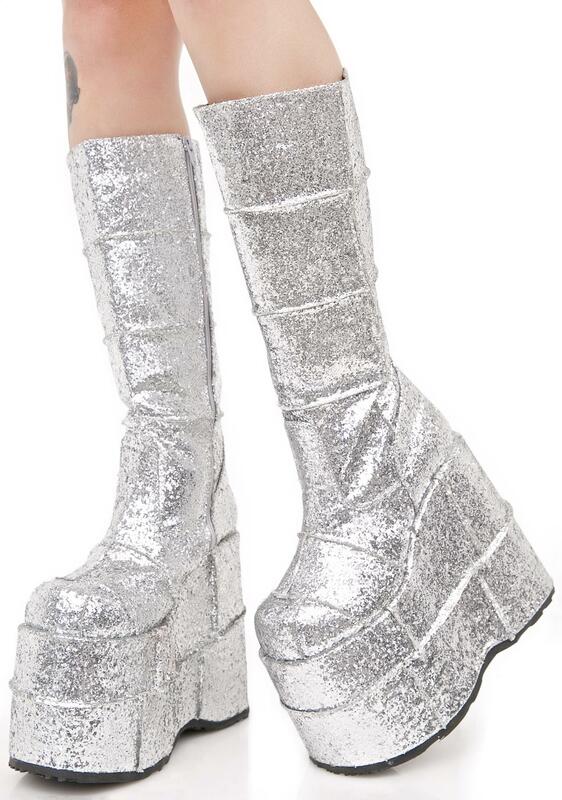 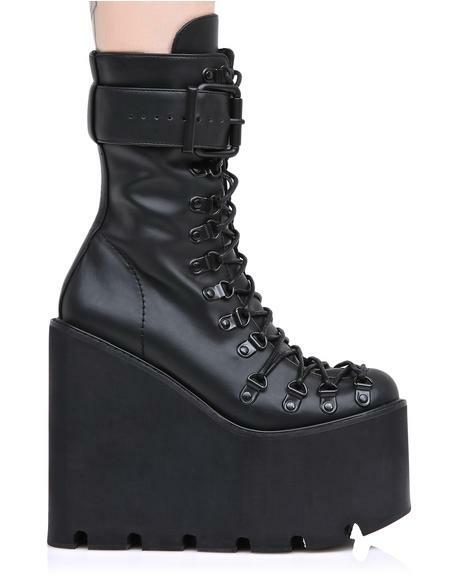 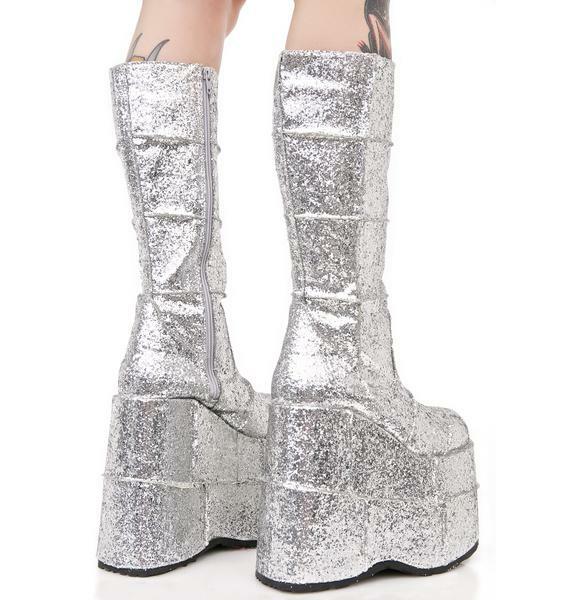 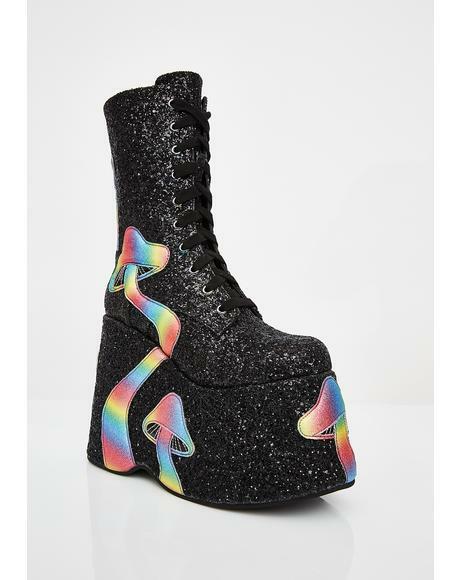 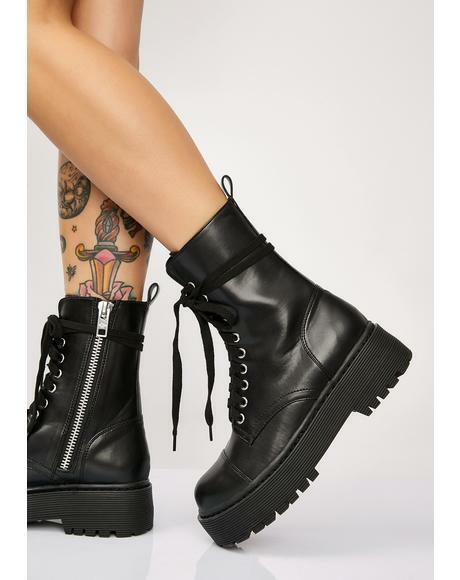 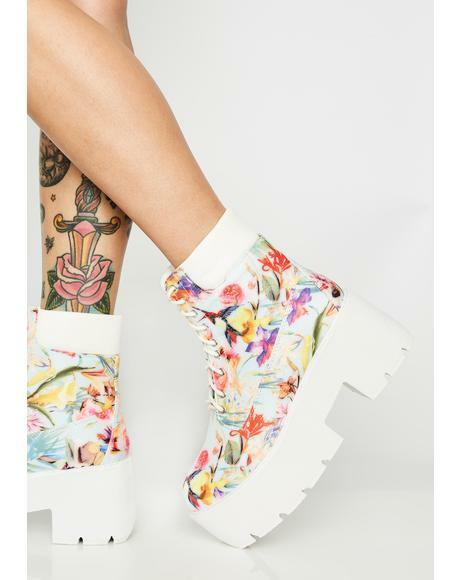 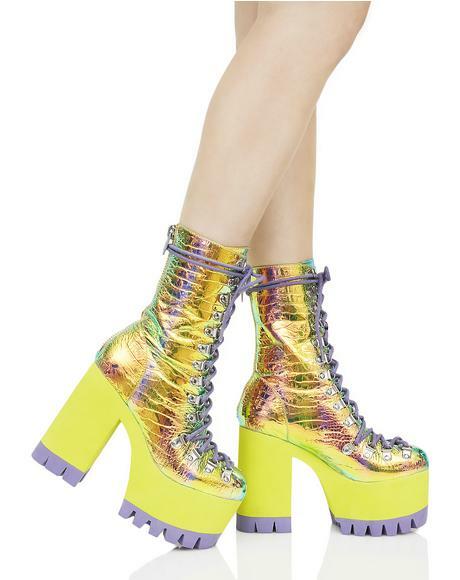 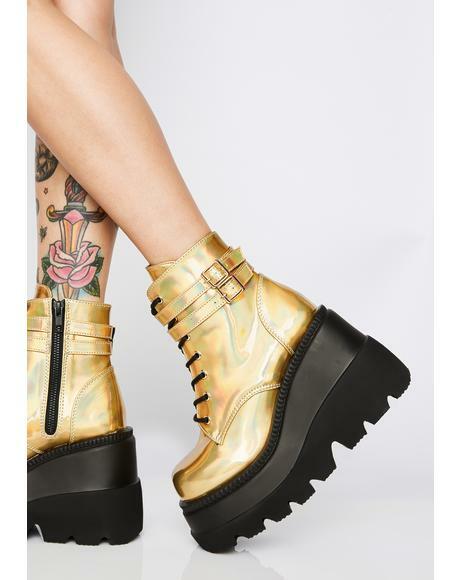 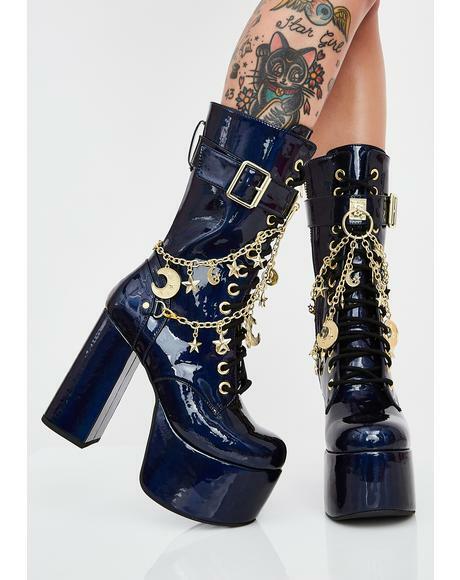 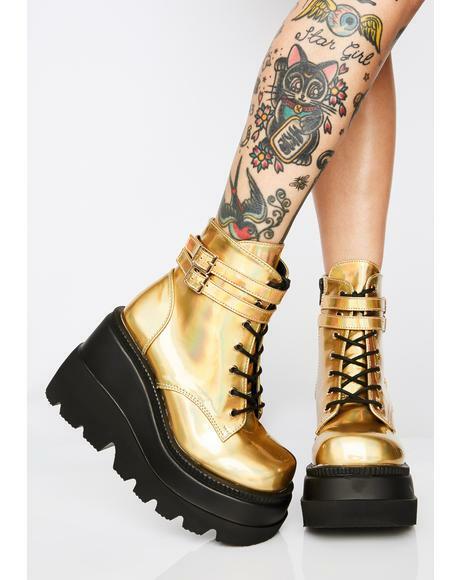 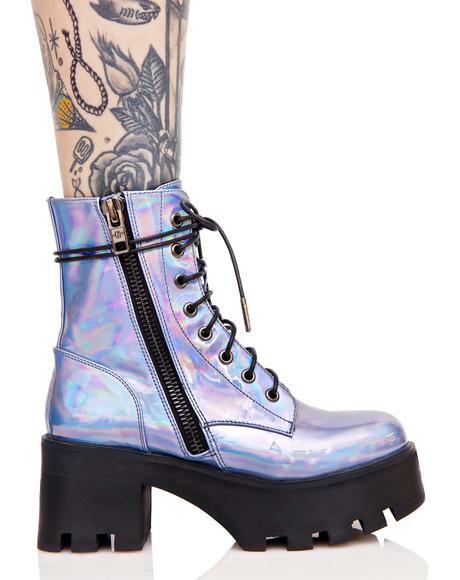 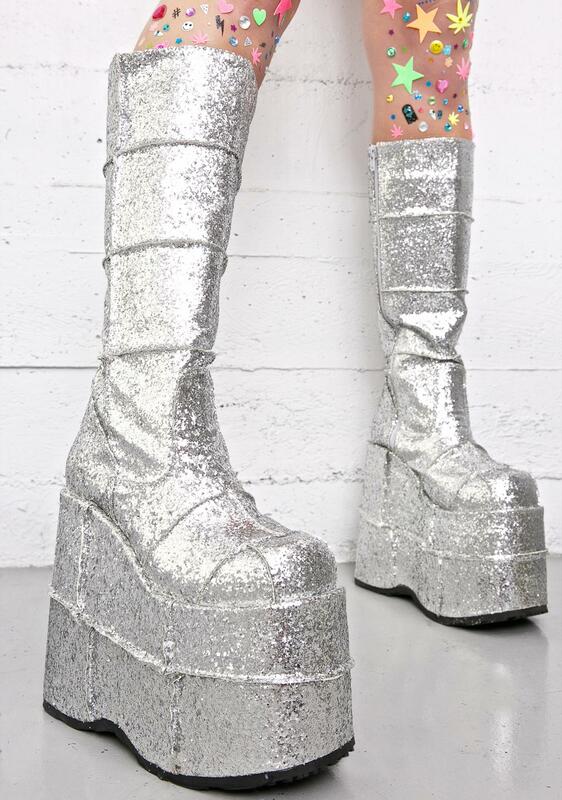 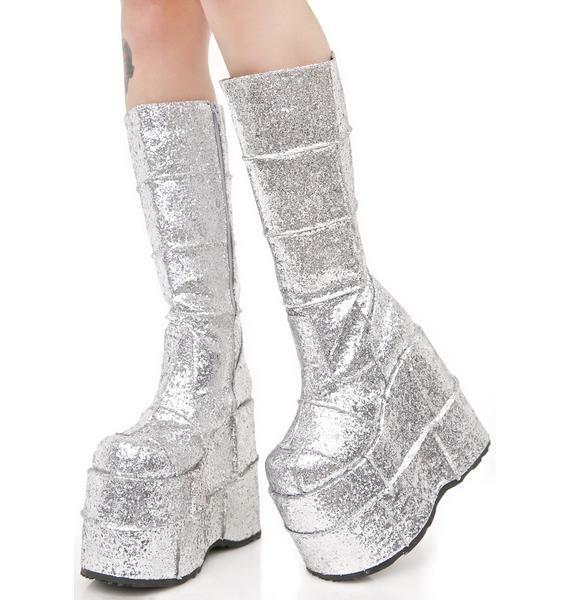 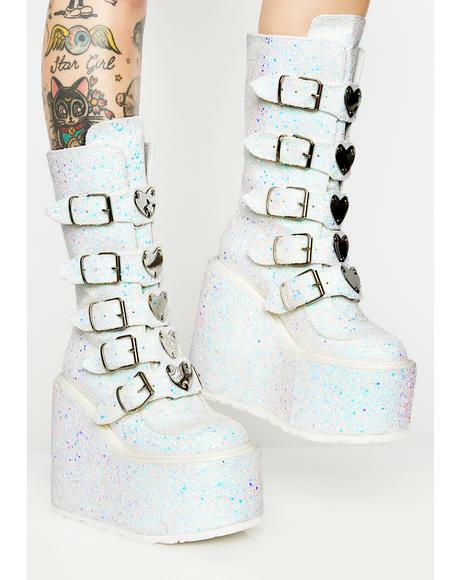 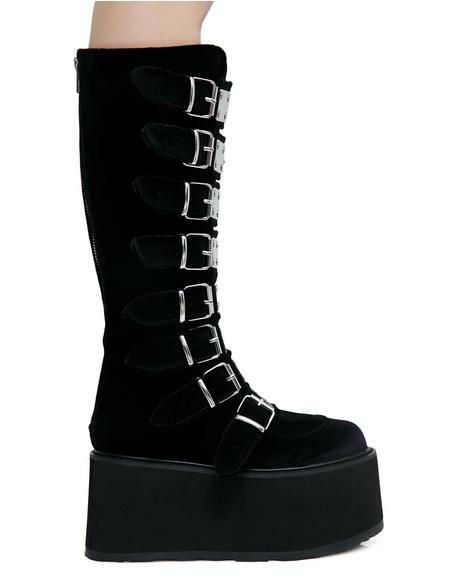 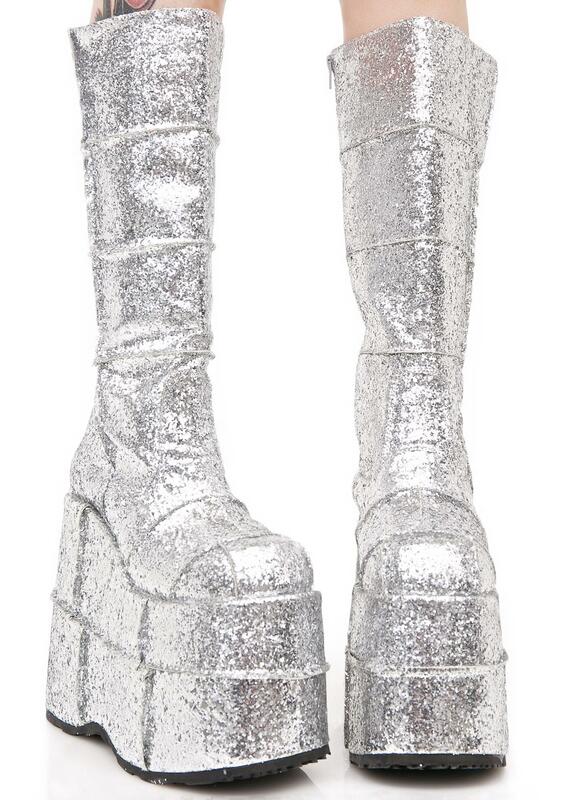 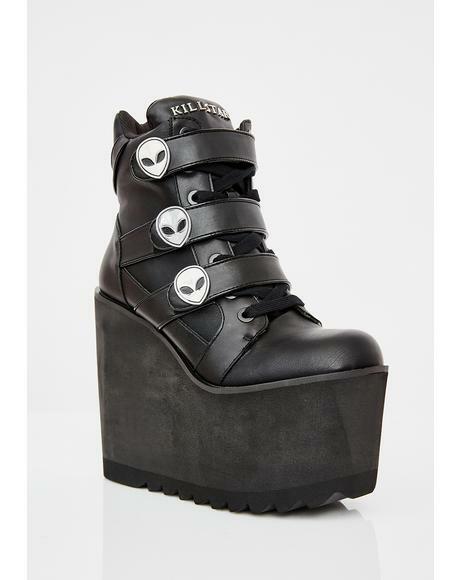 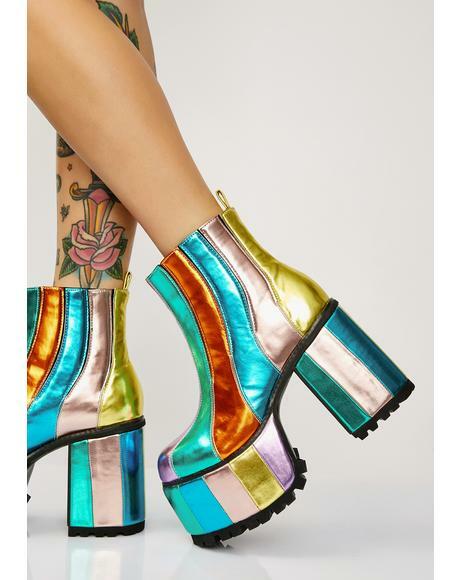 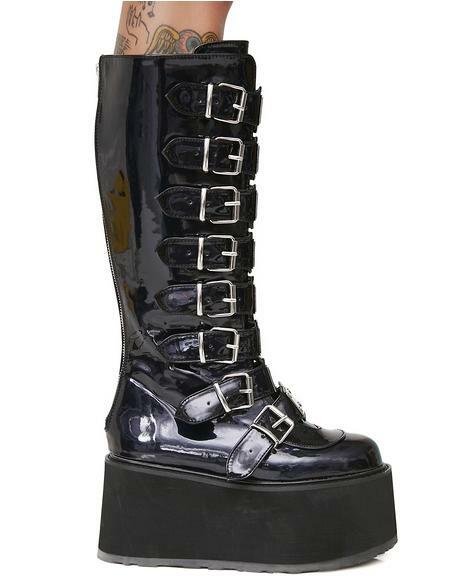 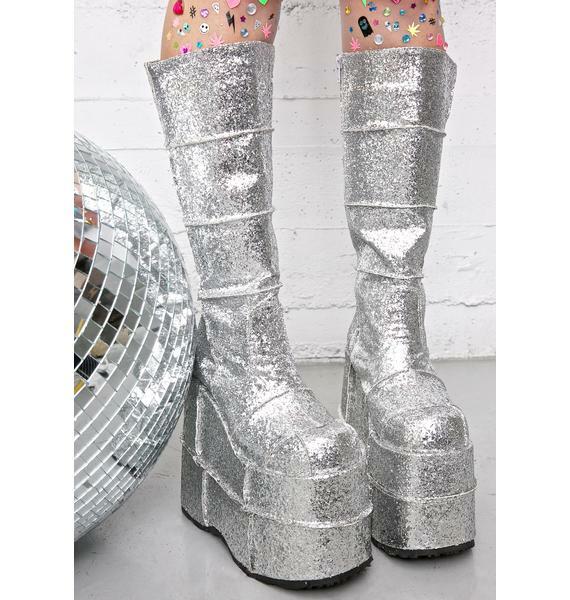 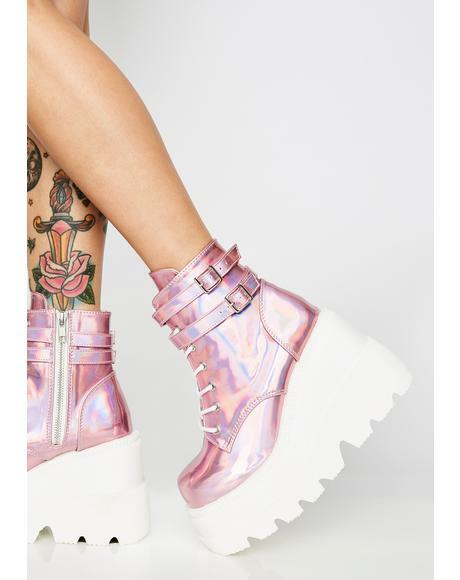 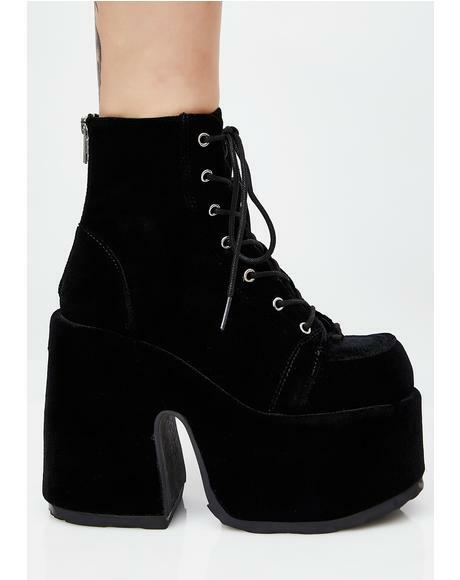 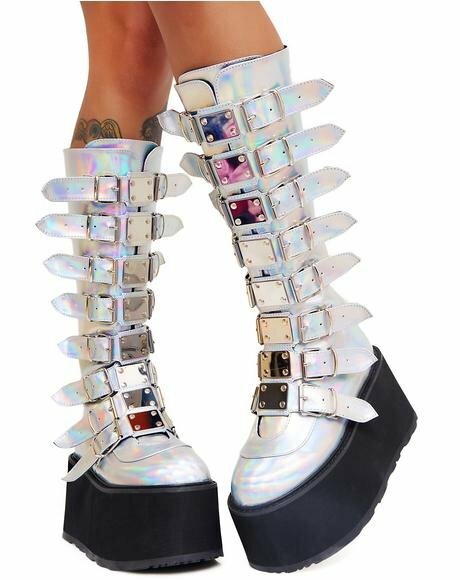 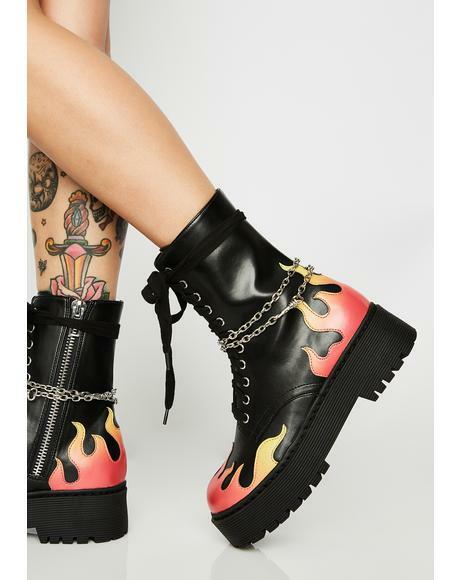 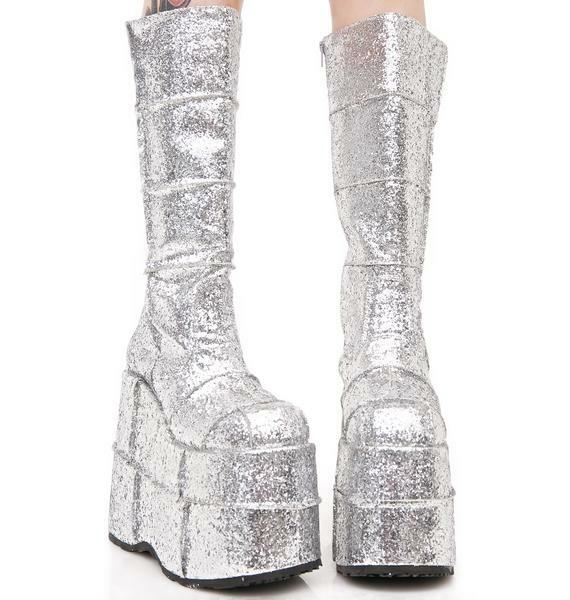 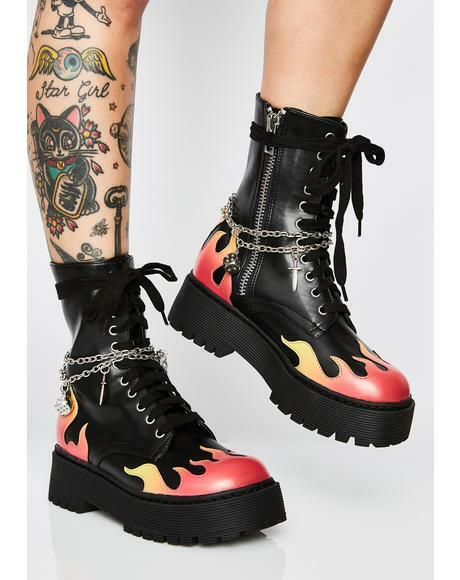 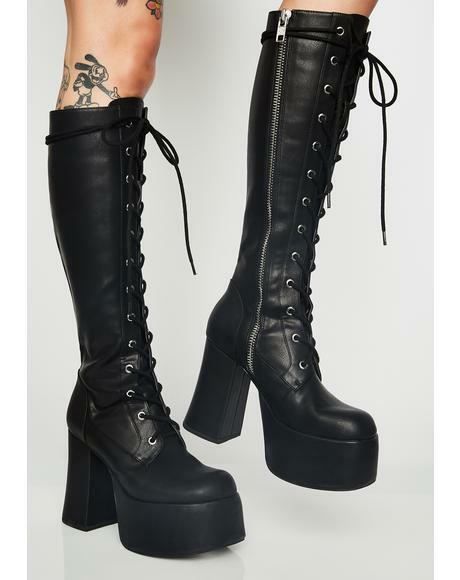 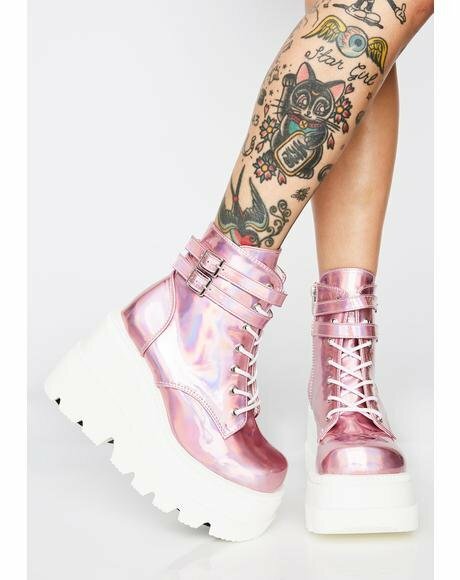 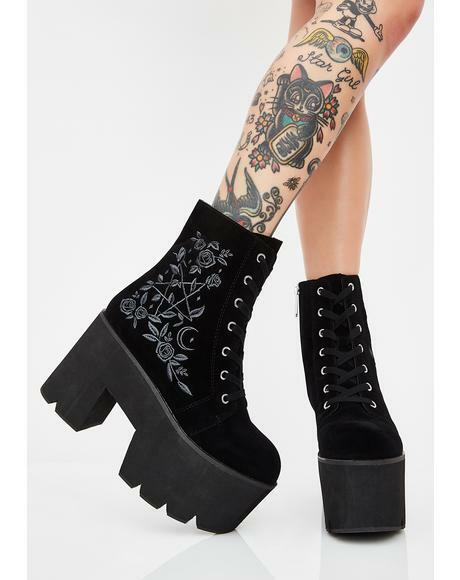 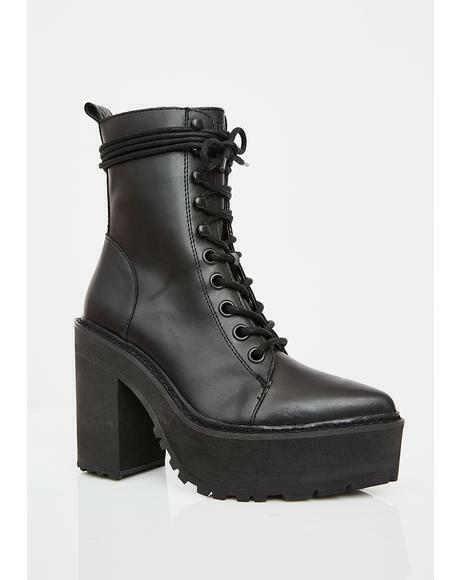 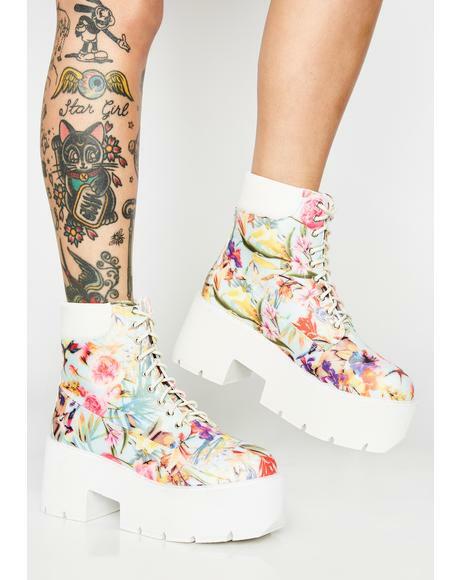 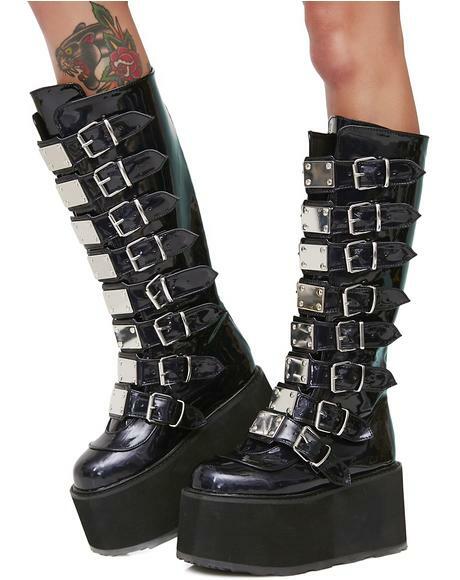 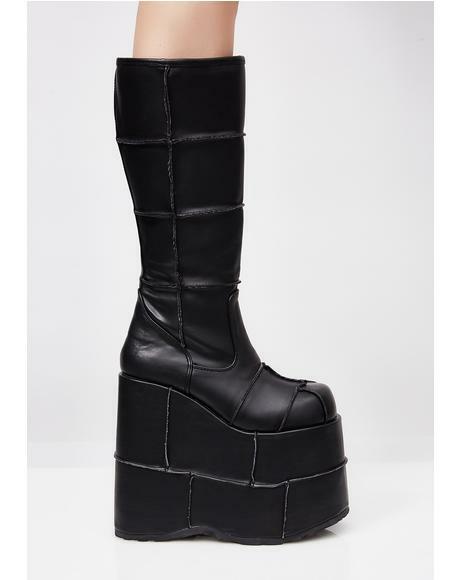 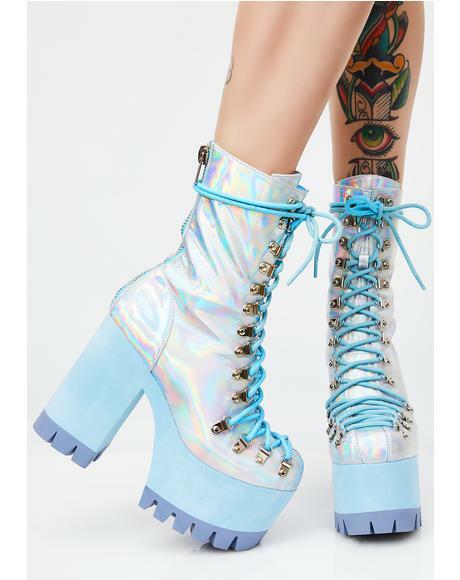 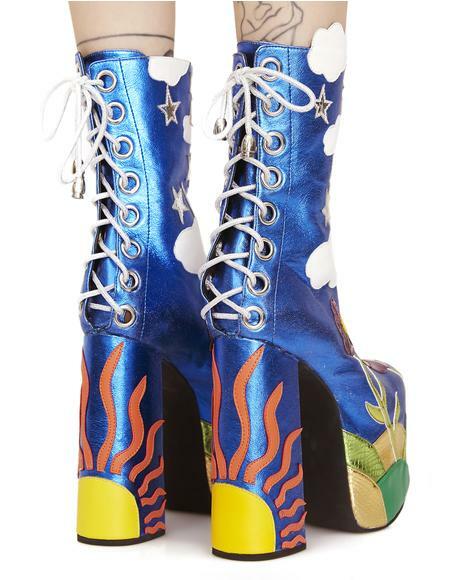 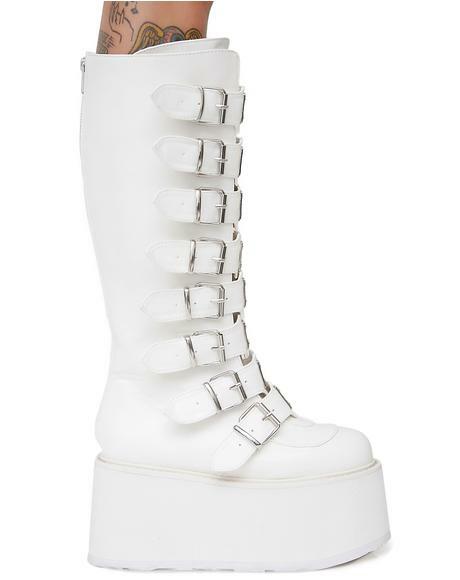 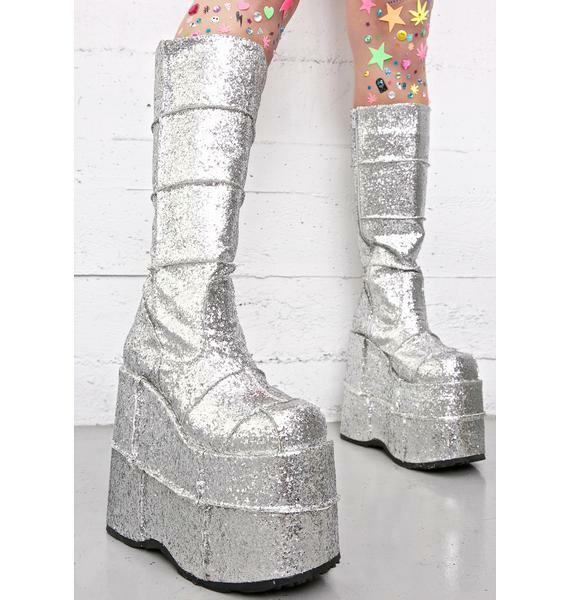 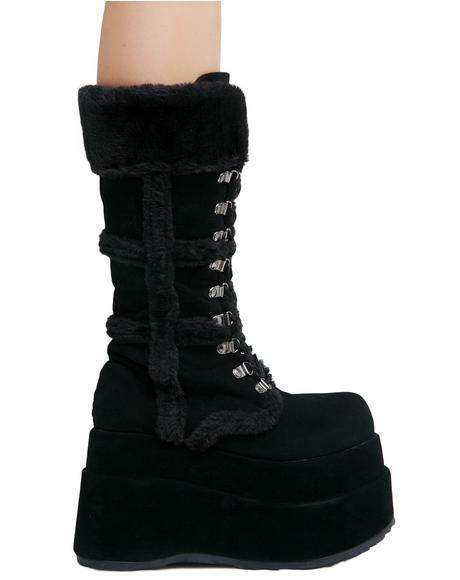 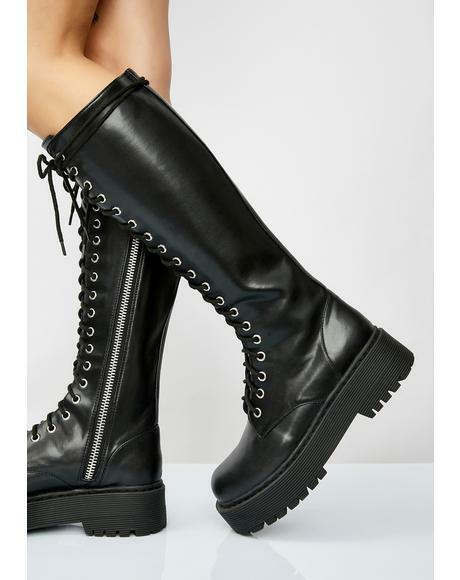 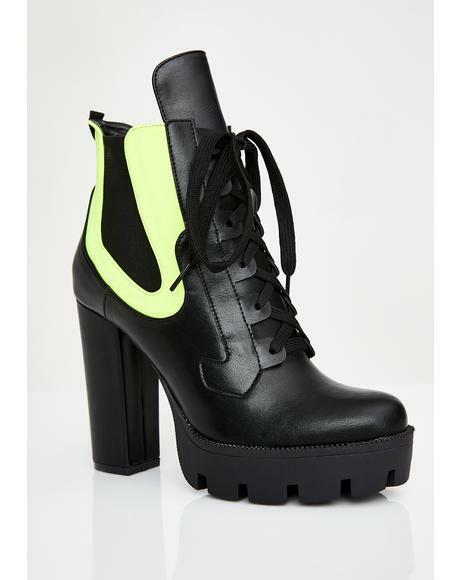 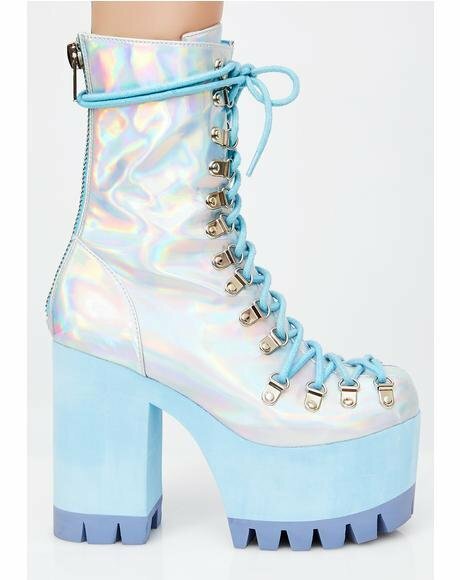 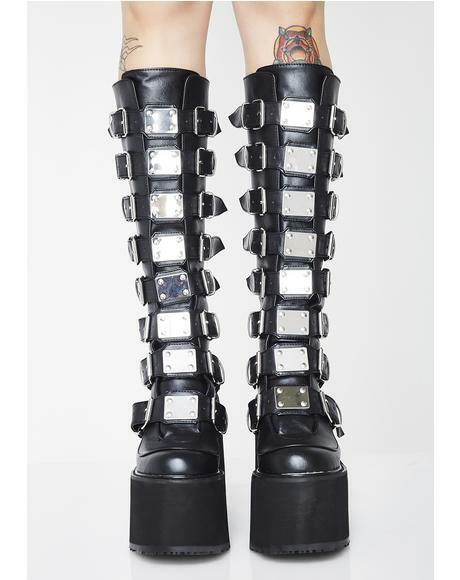 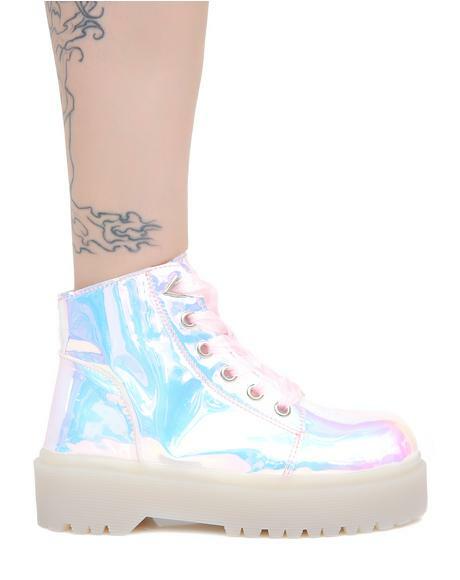 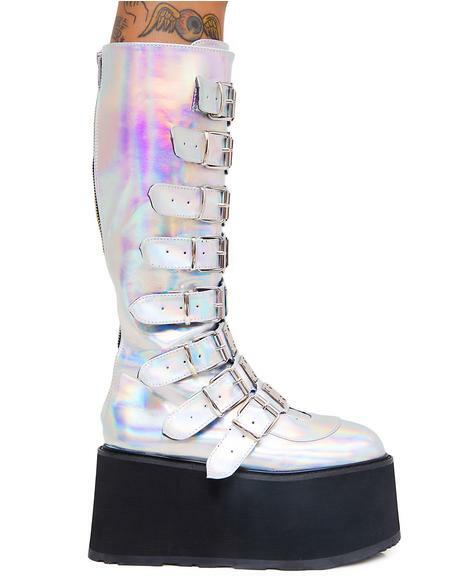 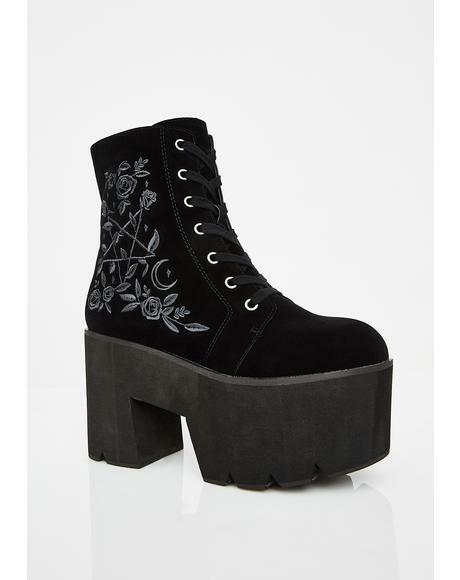 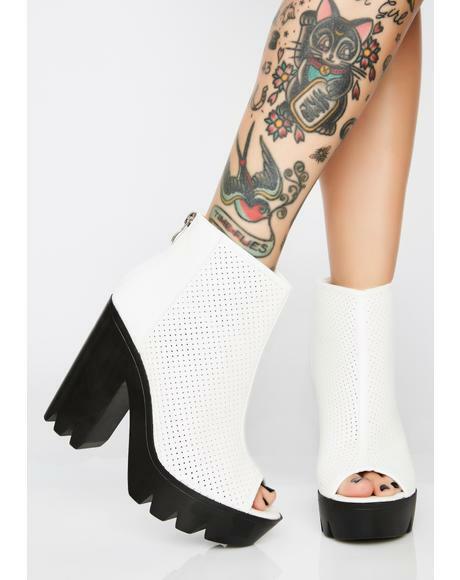 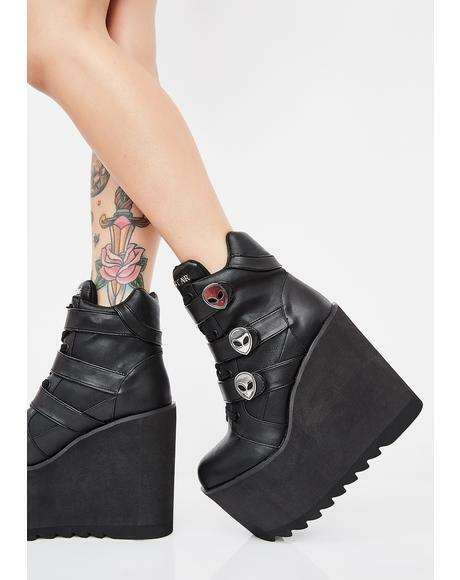 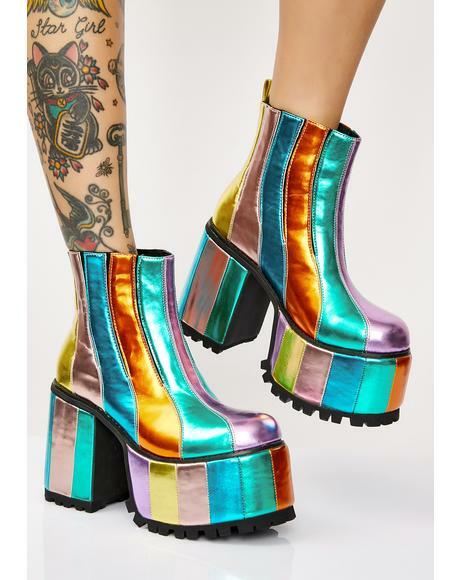 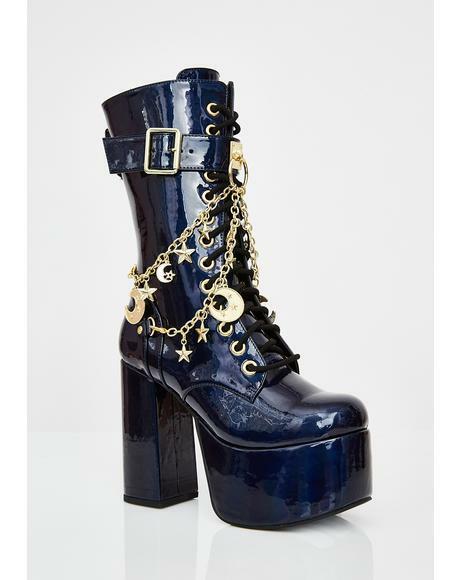 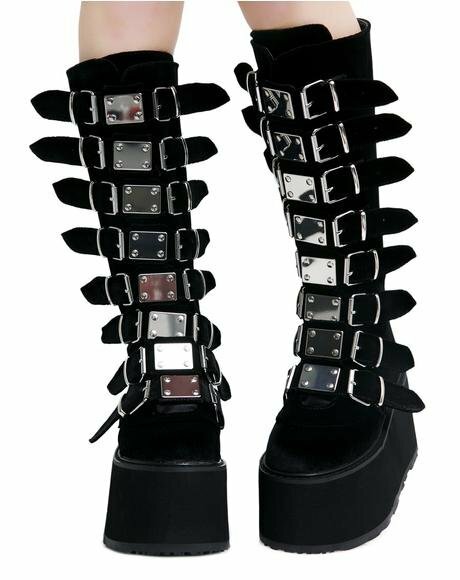 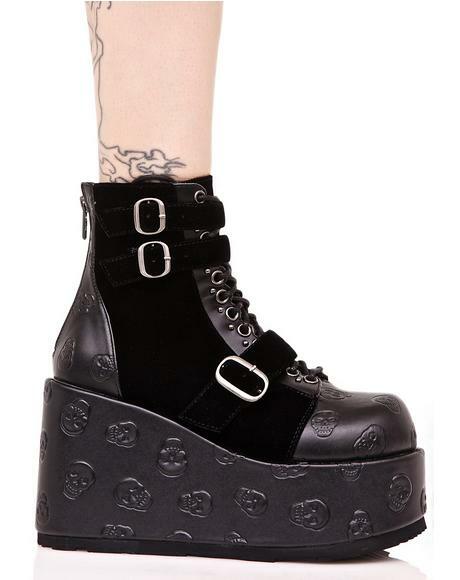 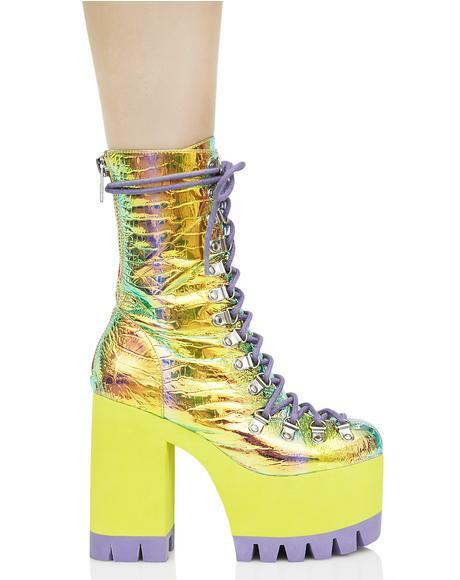 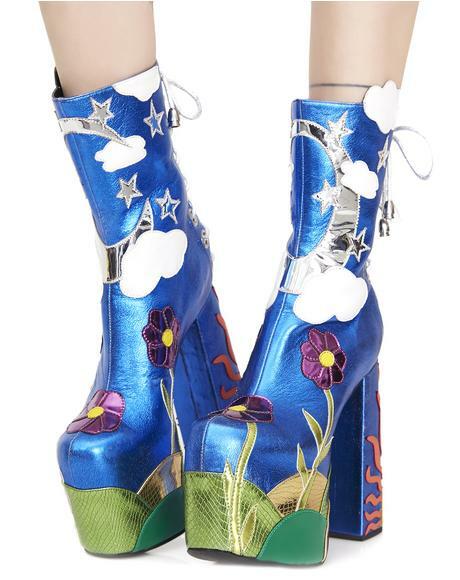 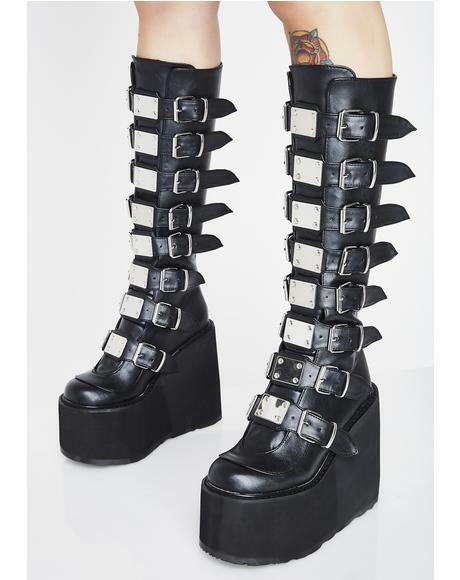 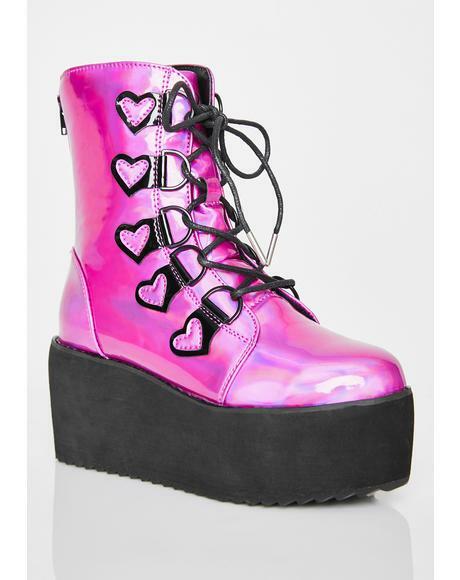 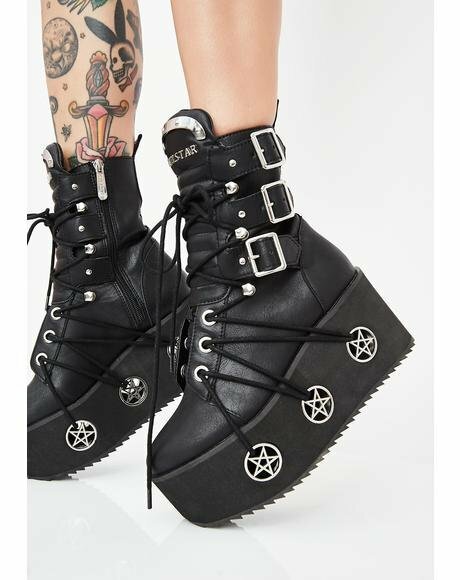 Demonia Glitter Stack Platforms will have ya lifted all da way up. 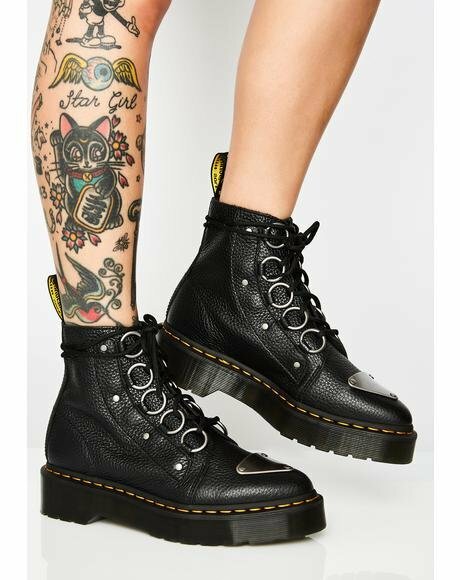 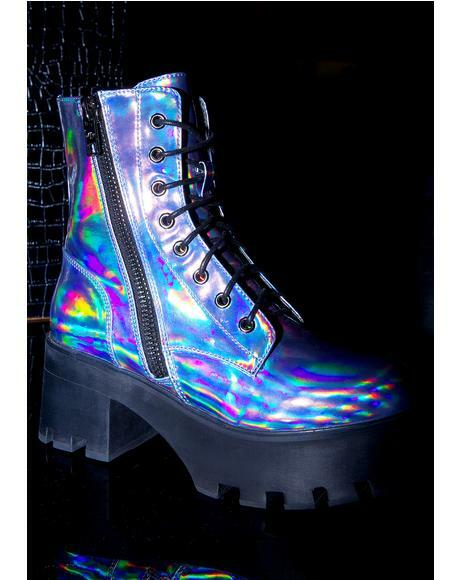 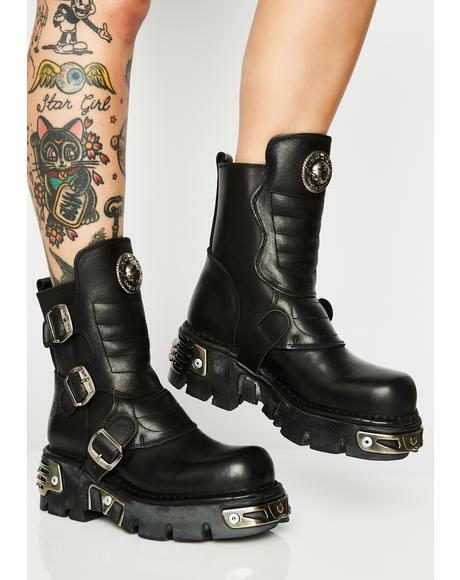 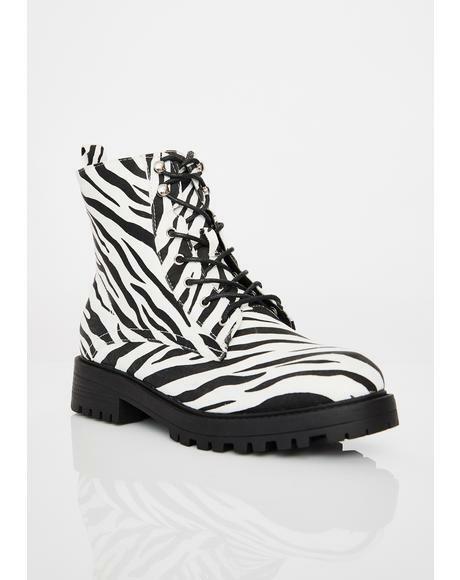 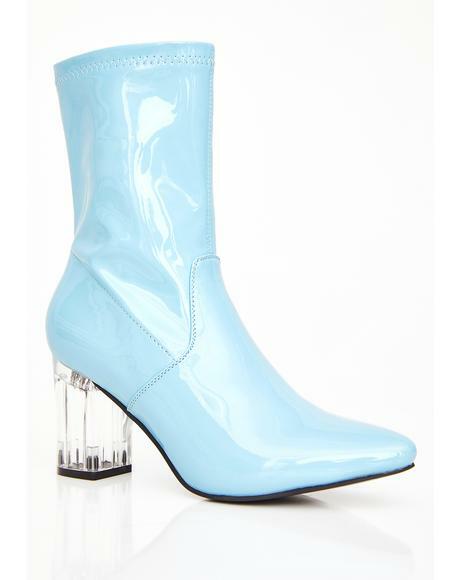 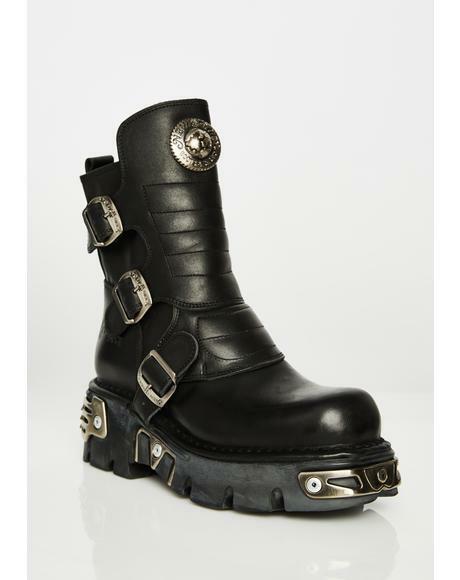 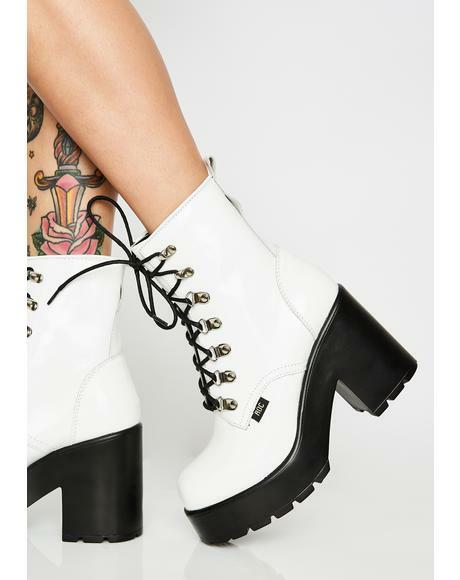 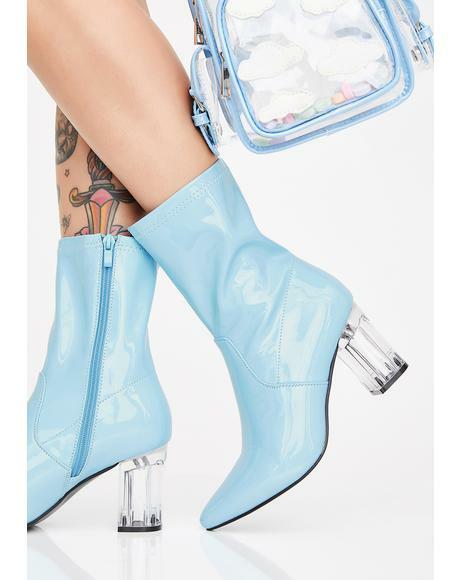 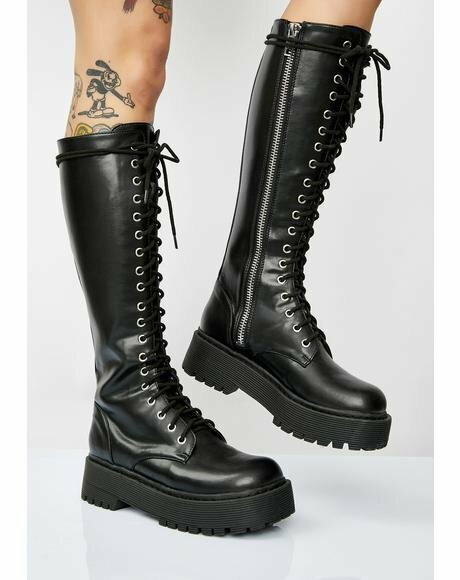 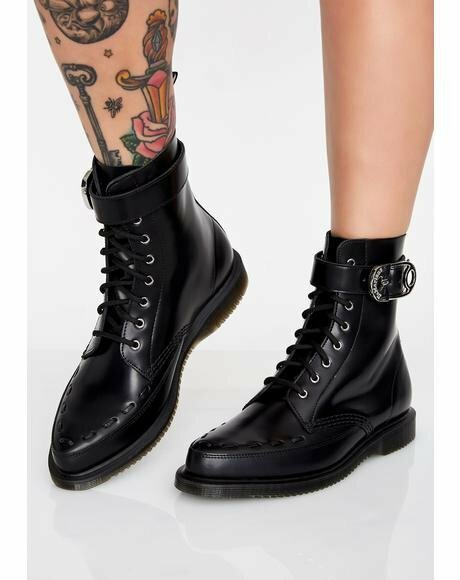 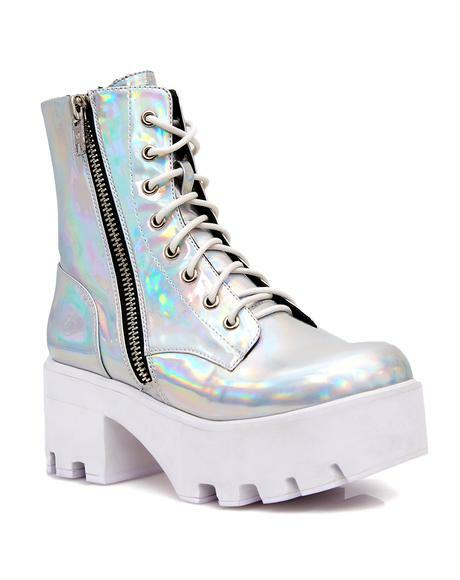 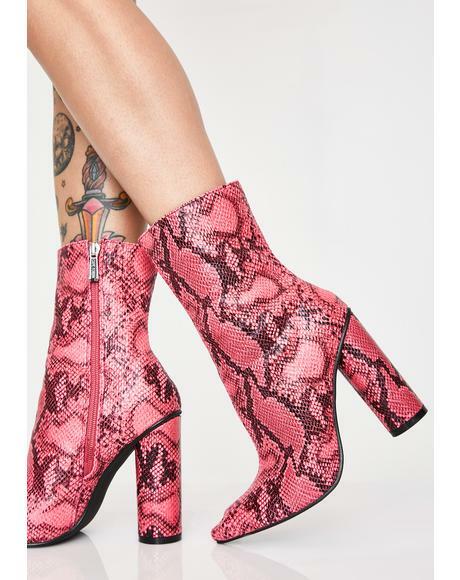 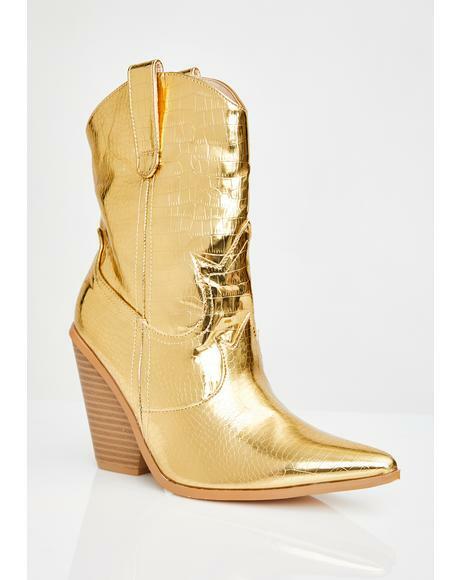 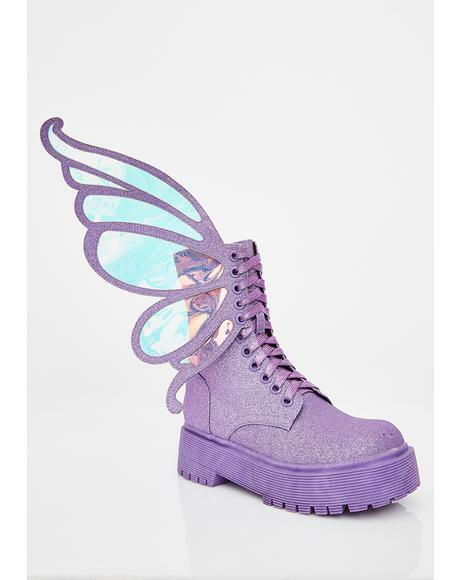 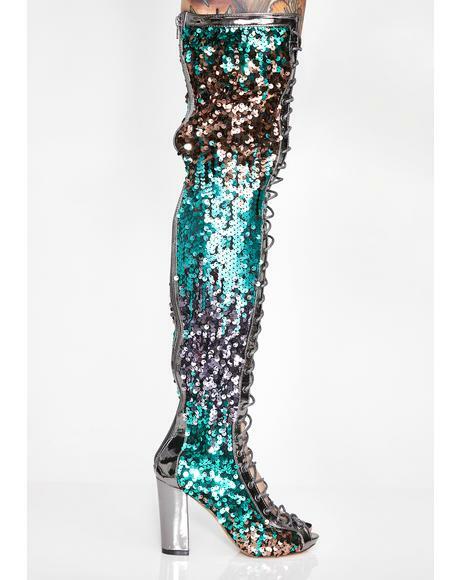 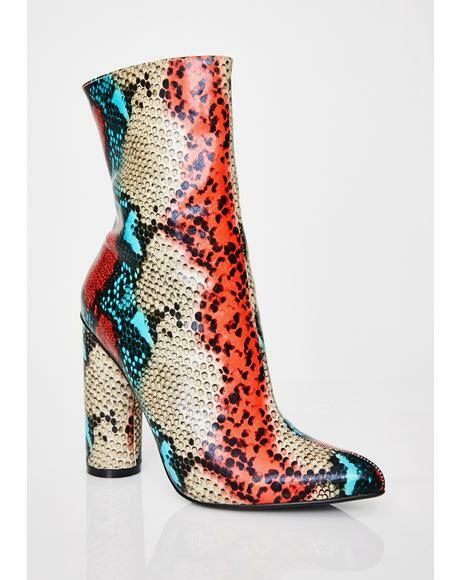 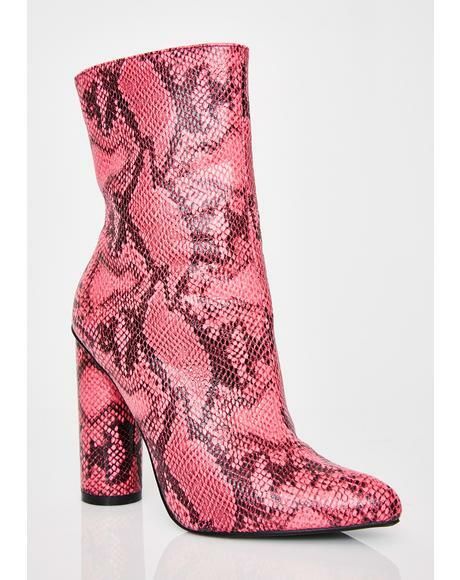 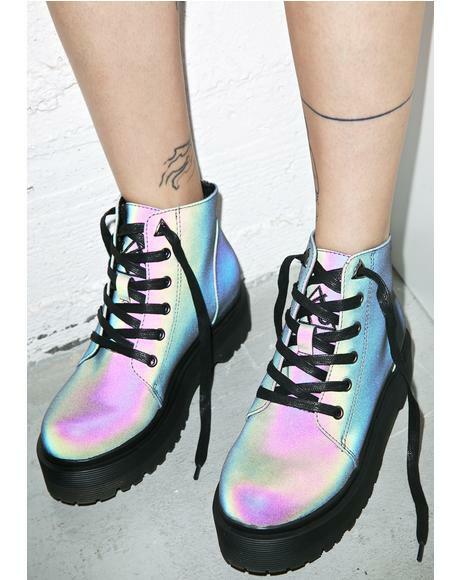 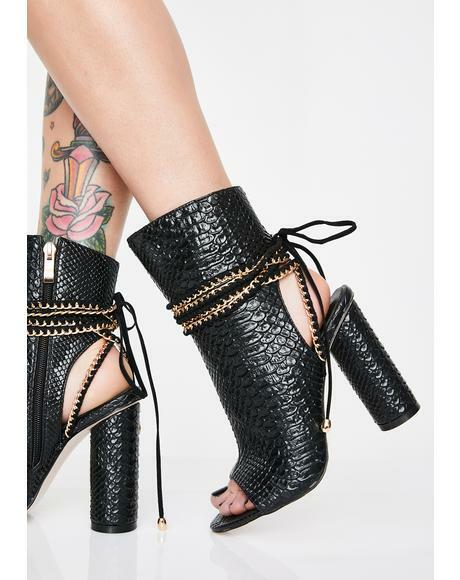 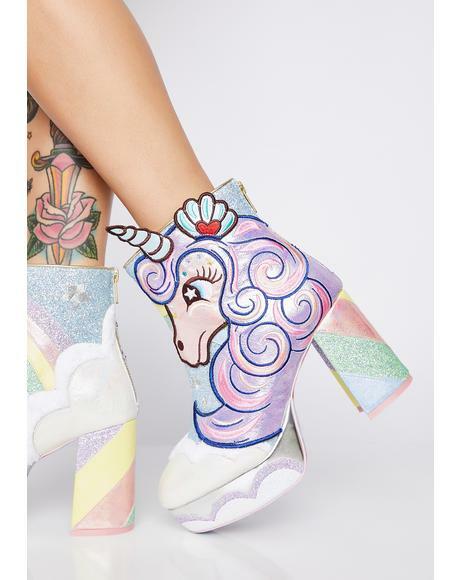 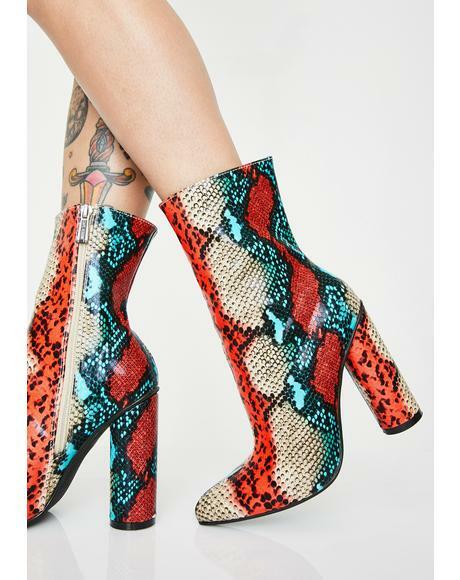 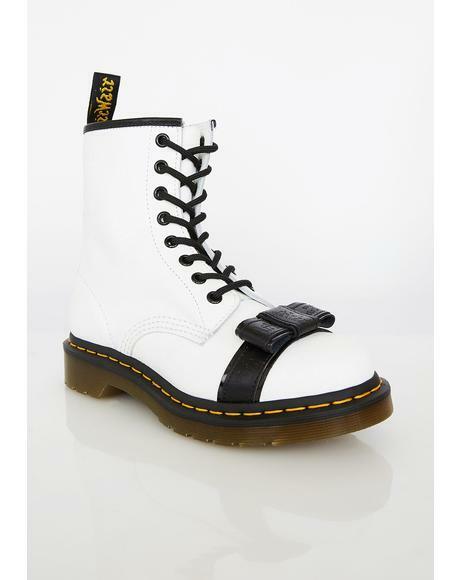 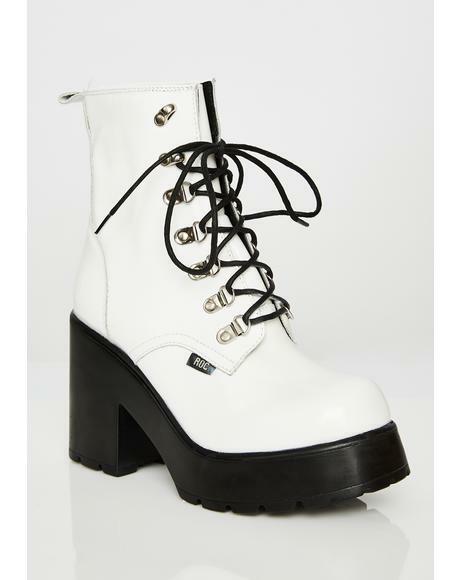 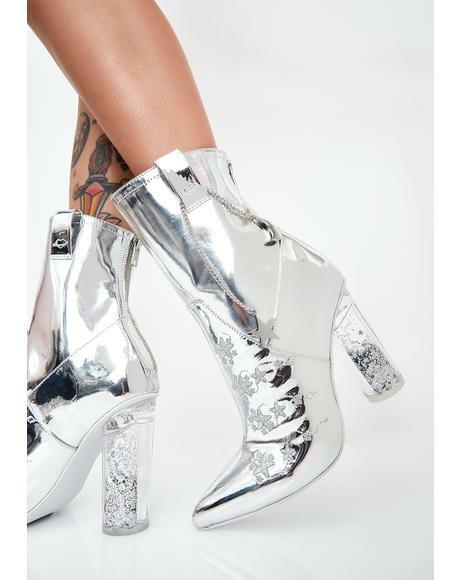 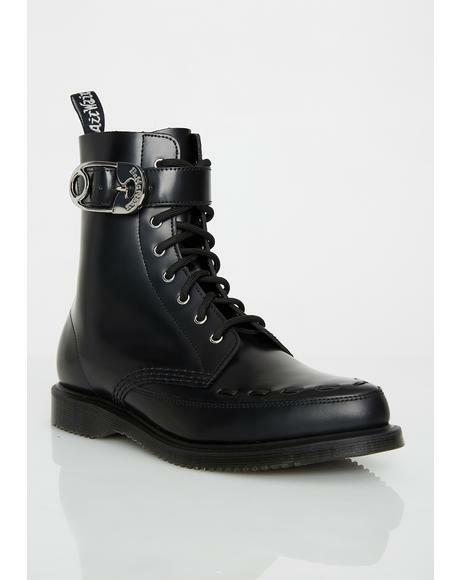 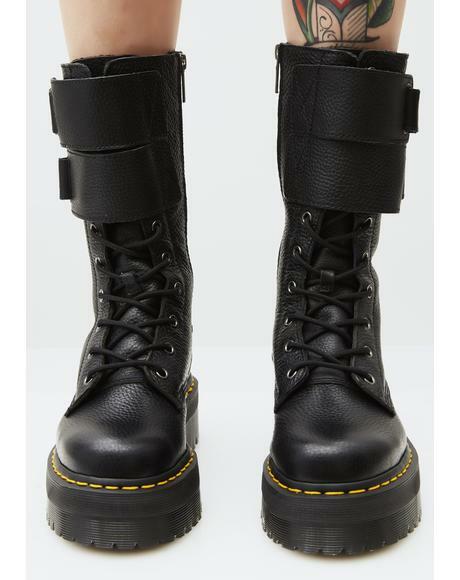 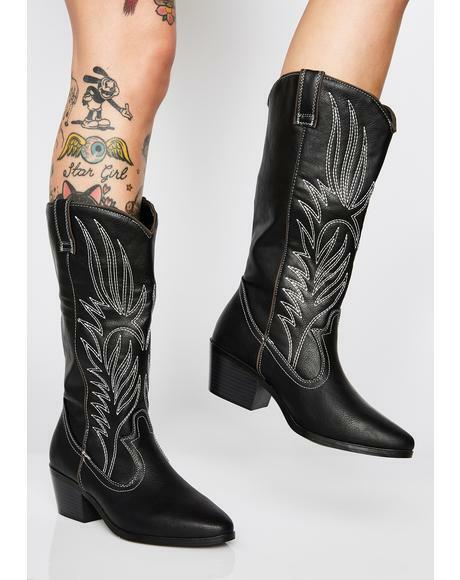 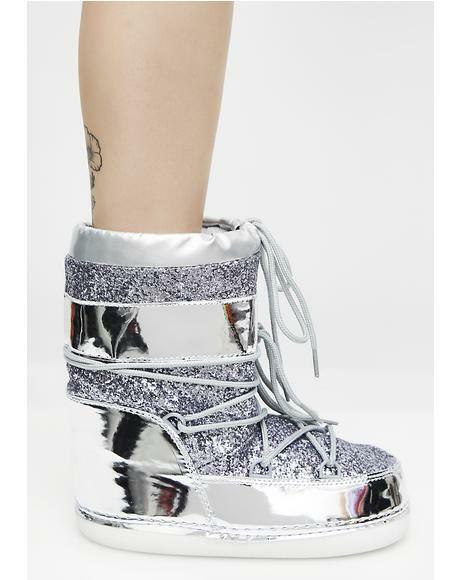 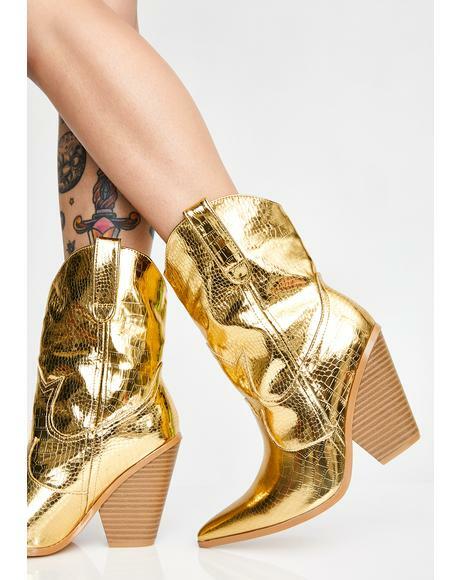 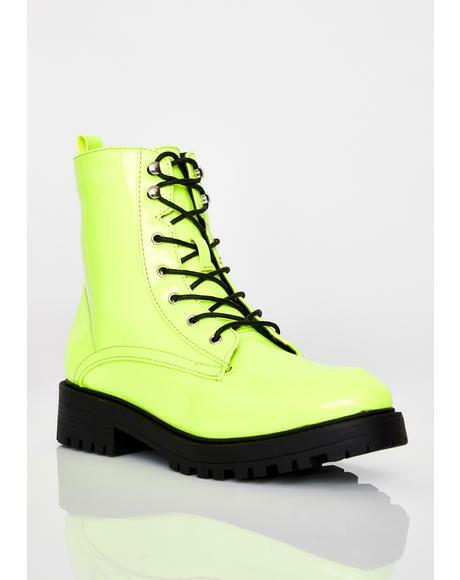 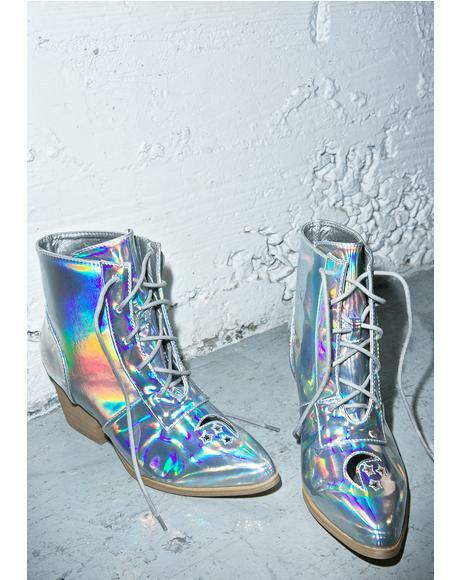 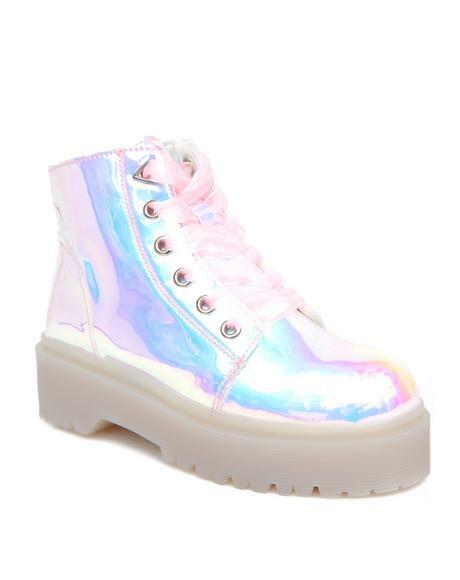 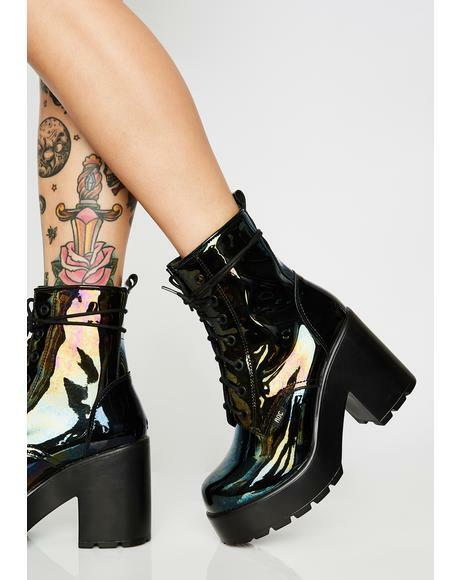 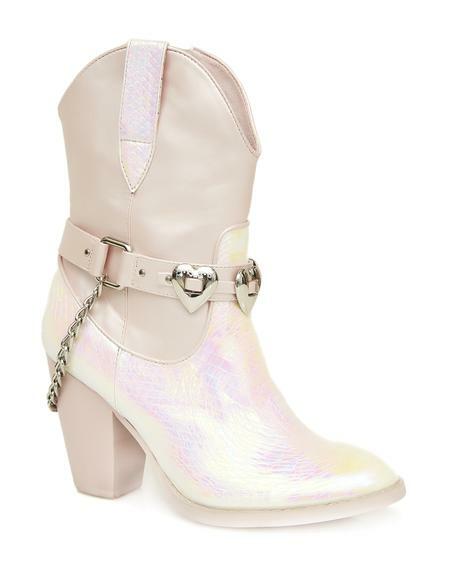 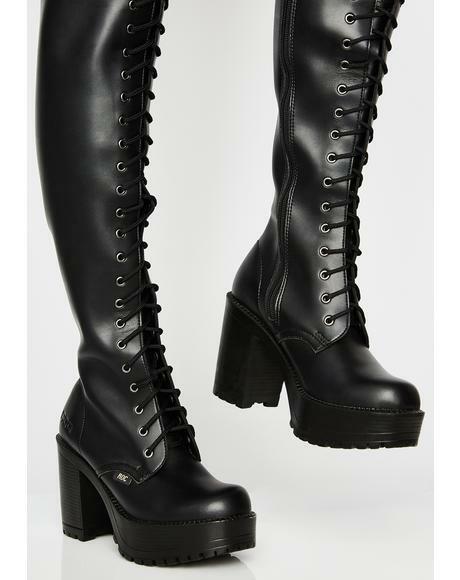 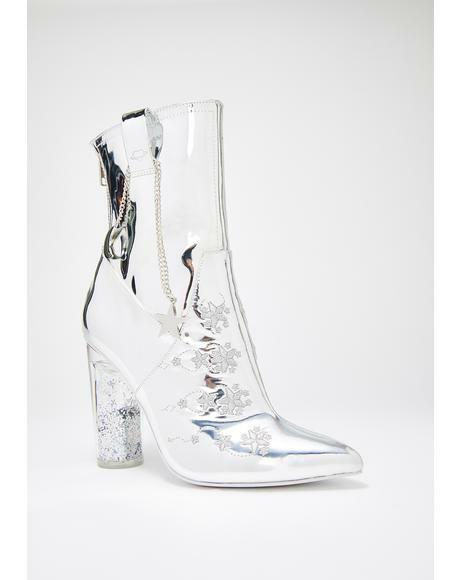 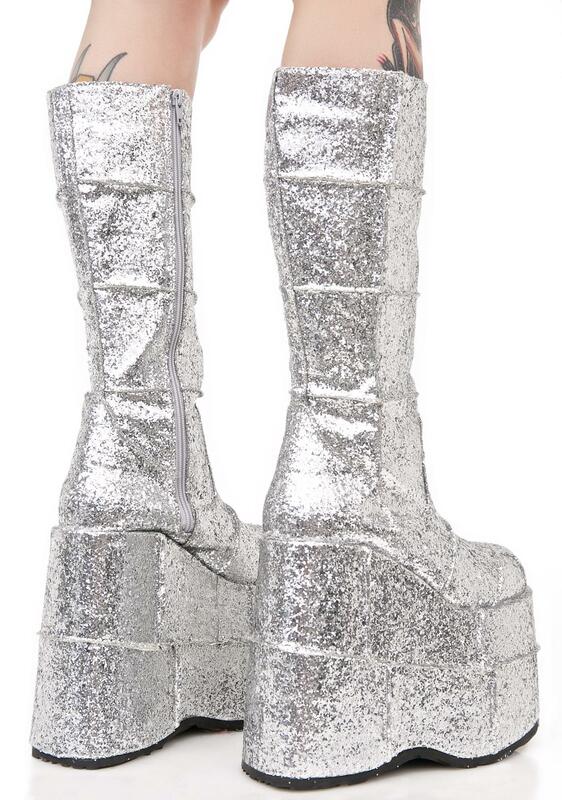 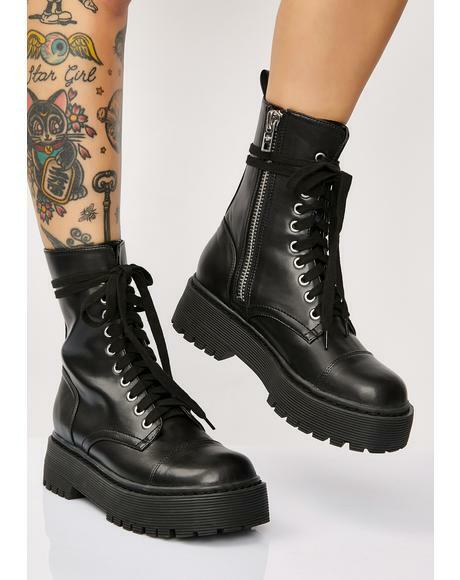 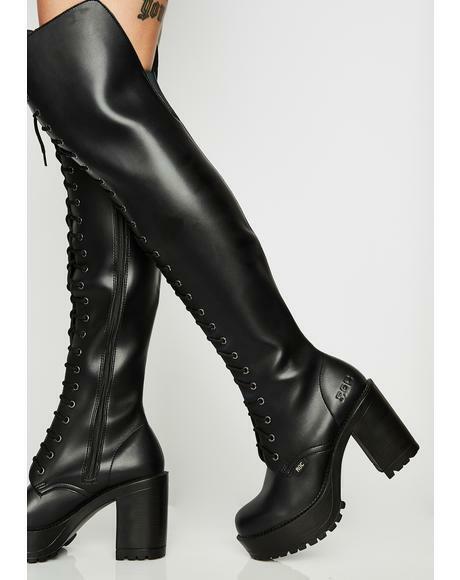 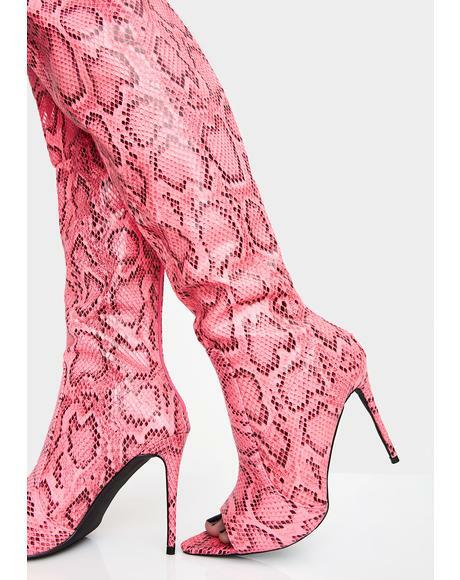 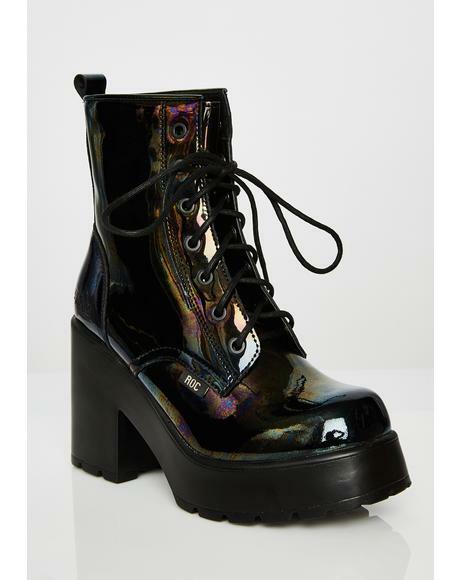 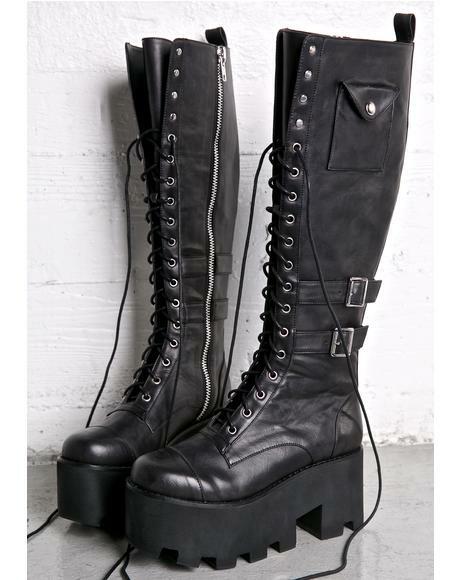 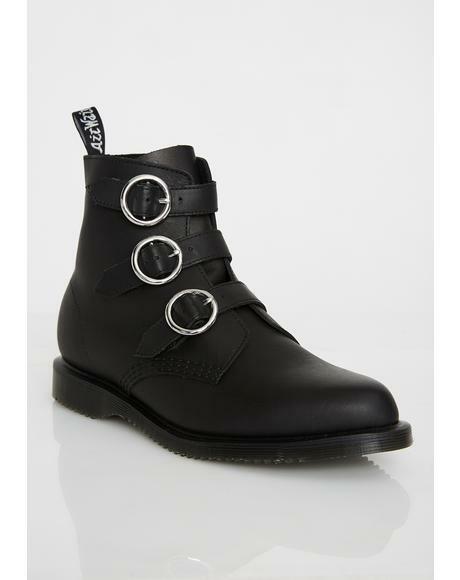 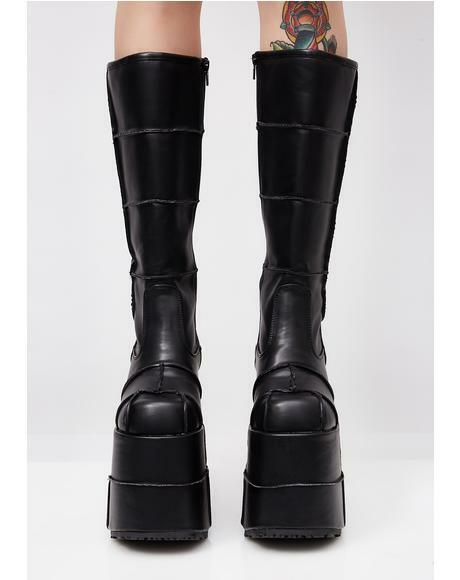 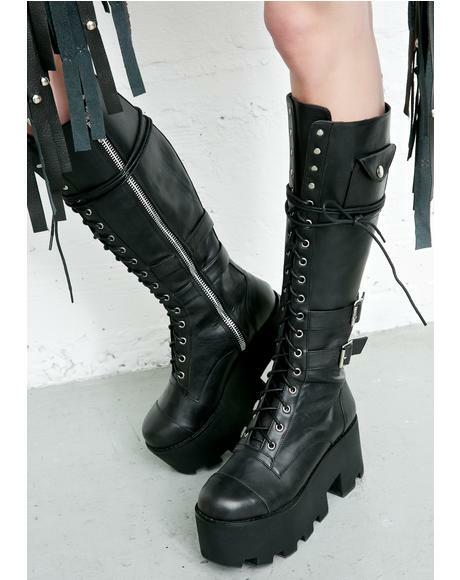 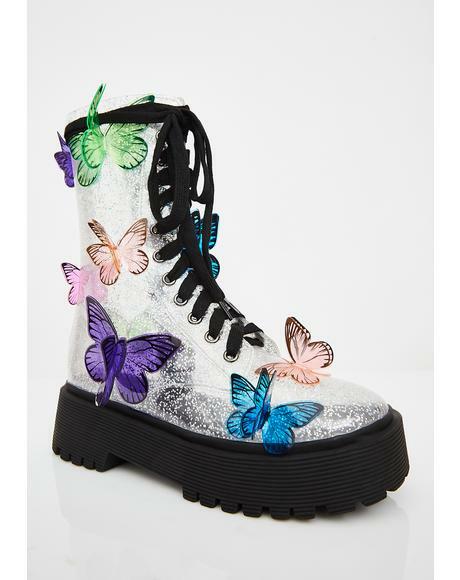 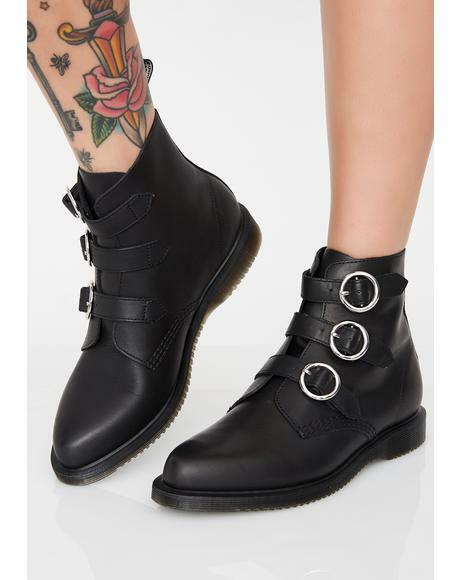 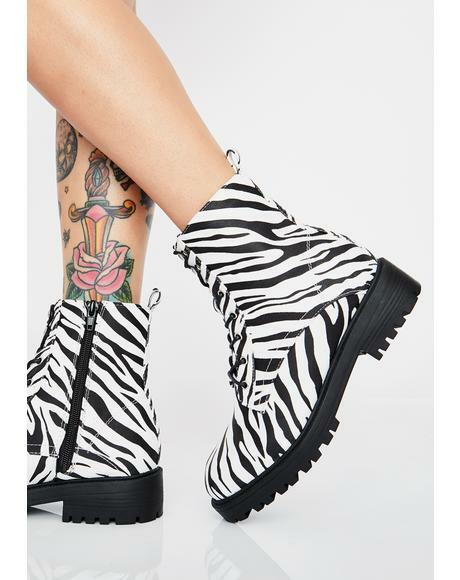 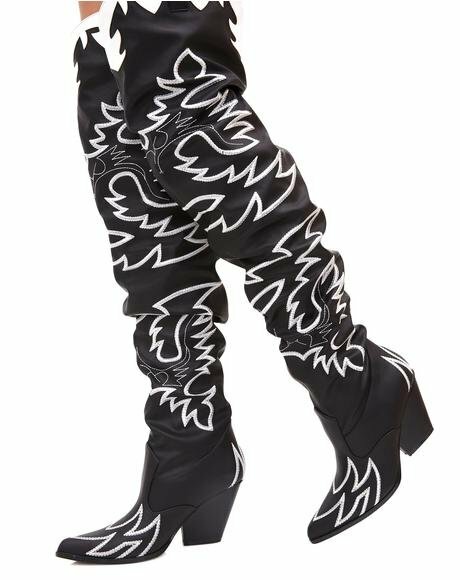 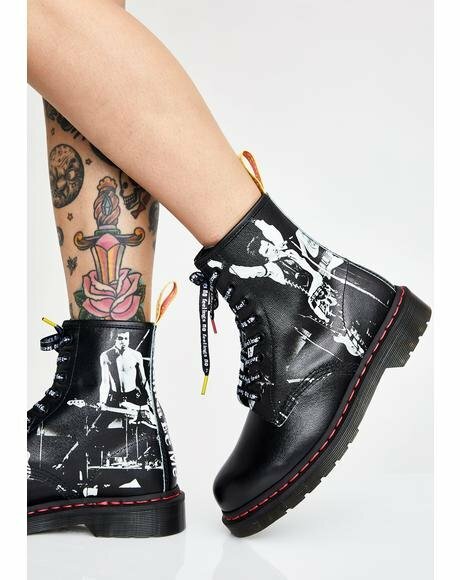 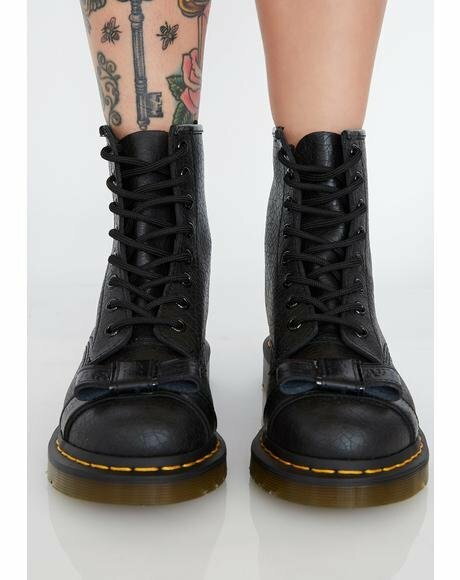 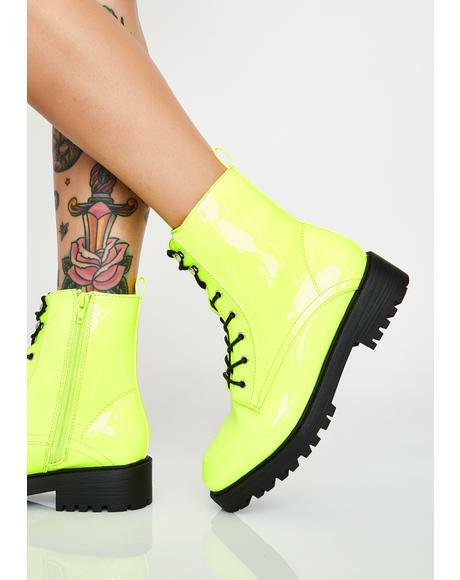 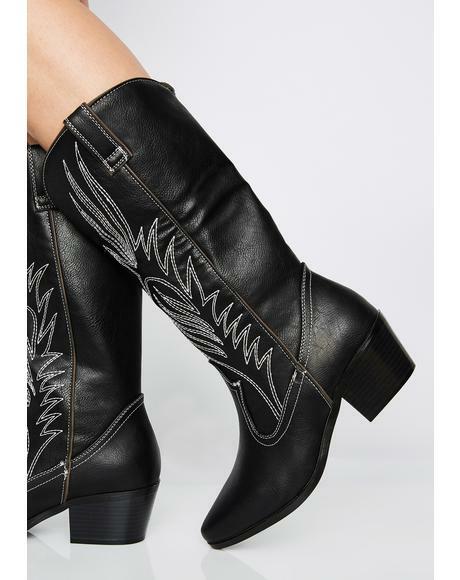 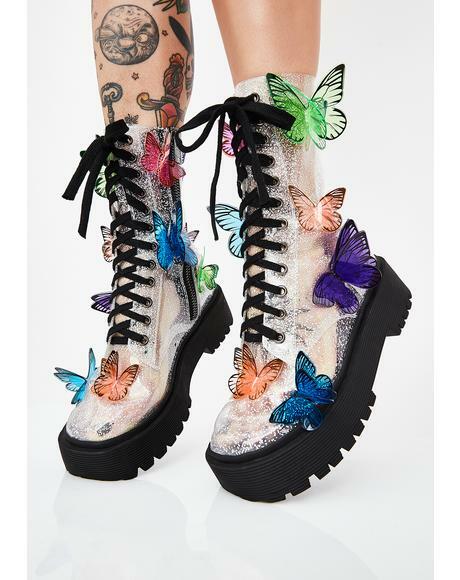 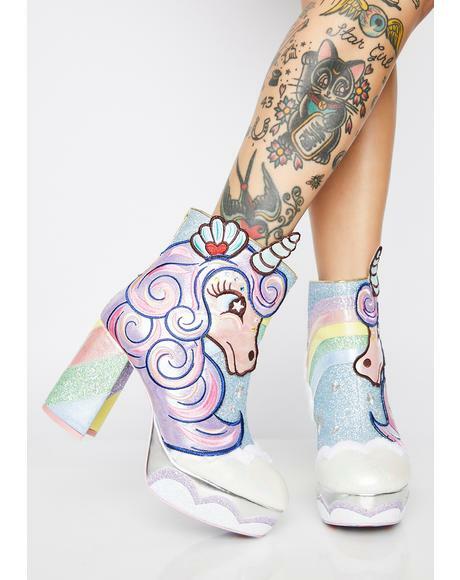 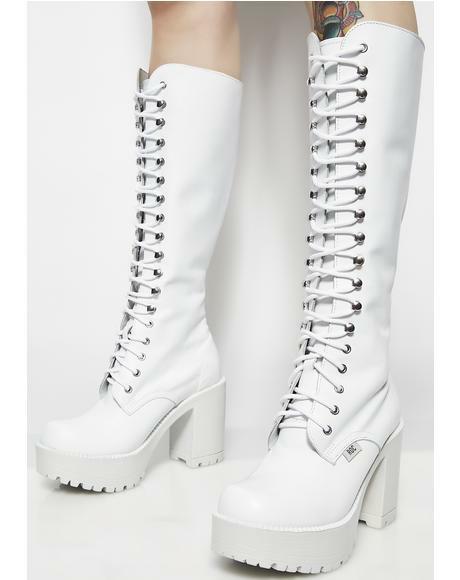 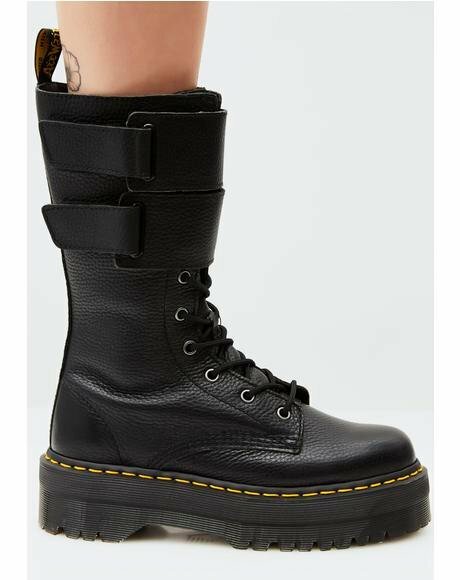 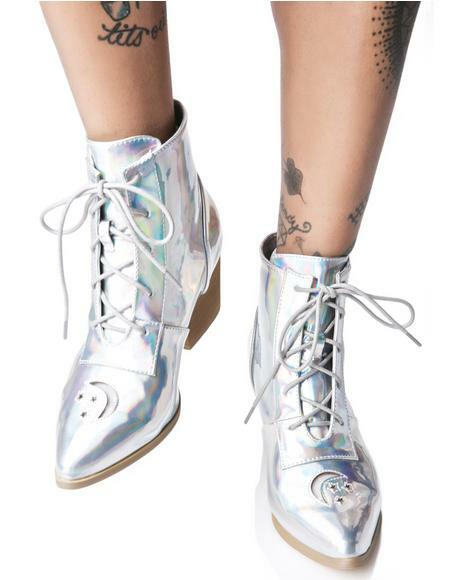 These epic boots have a silver glitter exterior, patched seam design, and concealed side zipper closures. 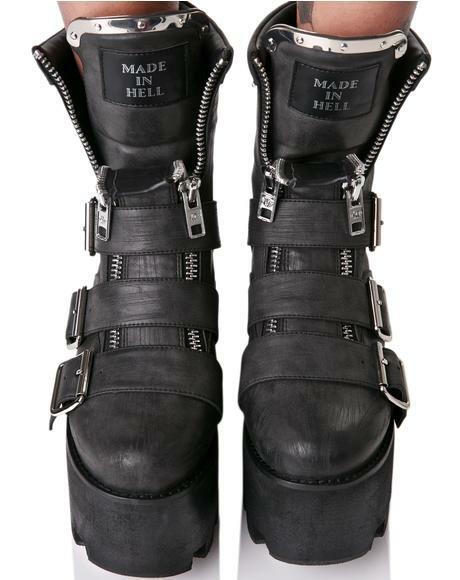 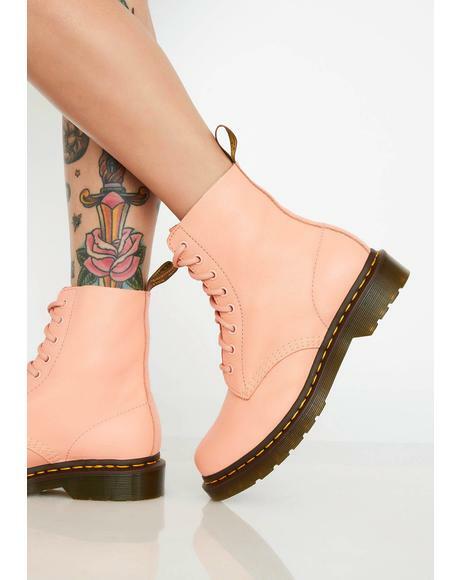 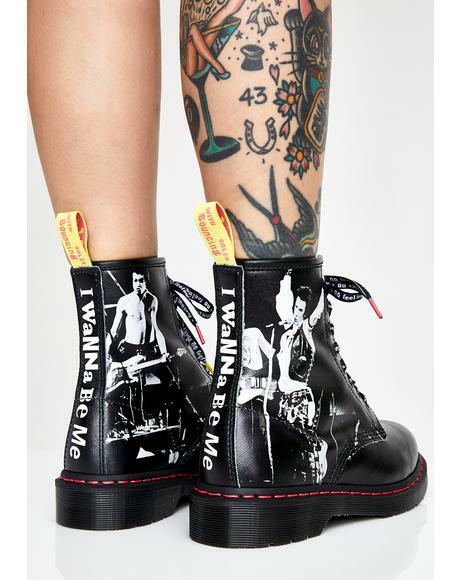 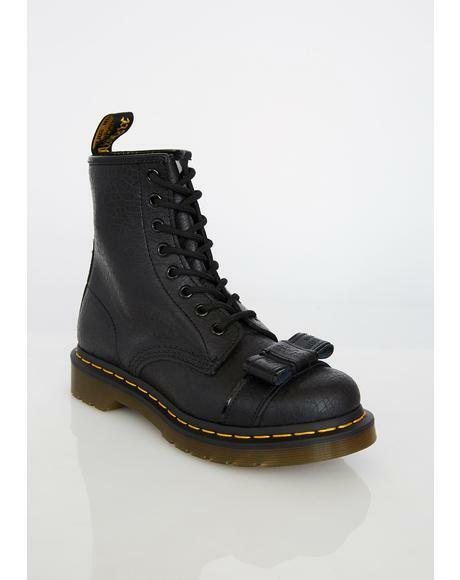 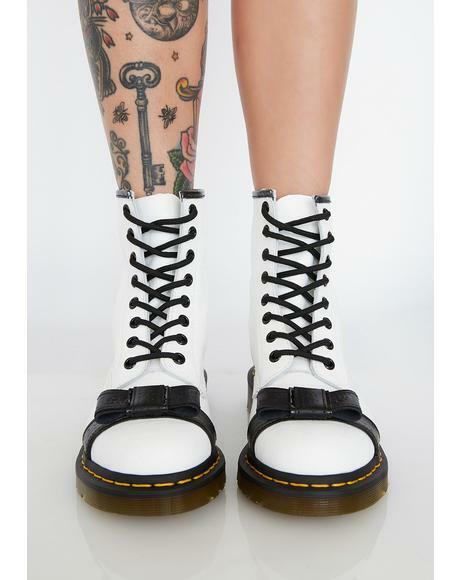 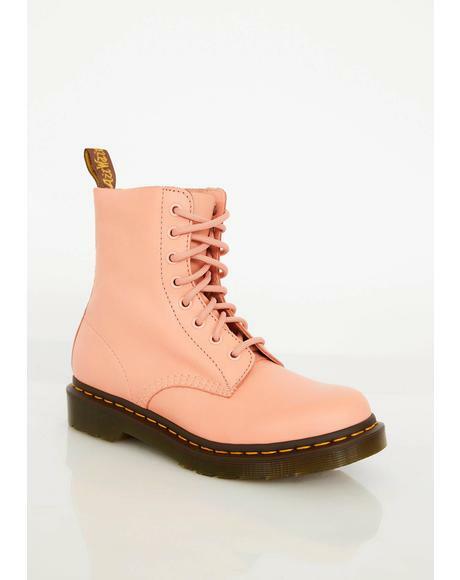 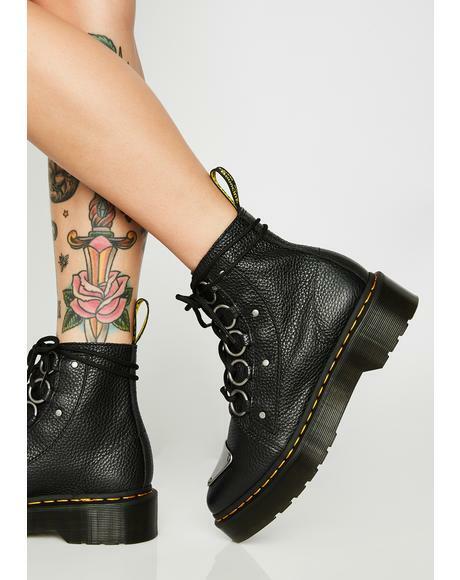 These BBz are in U.S. men's sizing, go two sizes up to find your female size; peep the size chart for ur perfect fit!